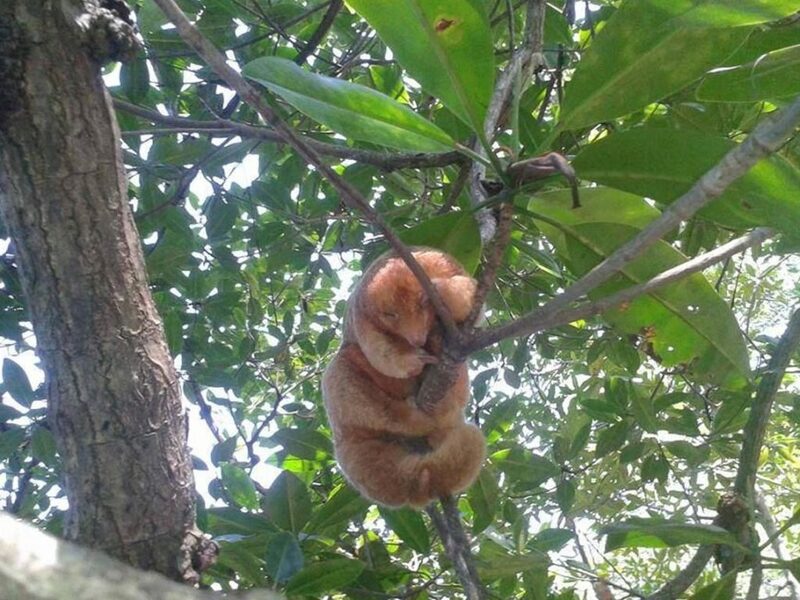 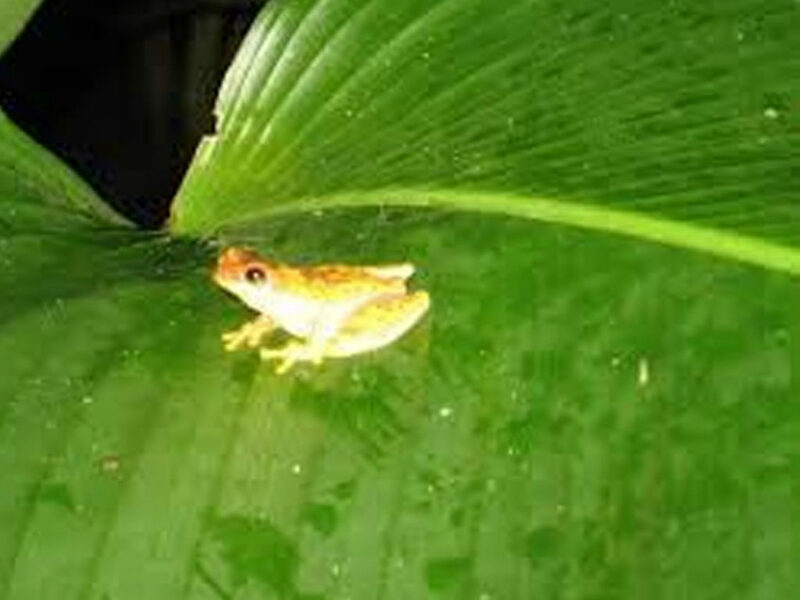 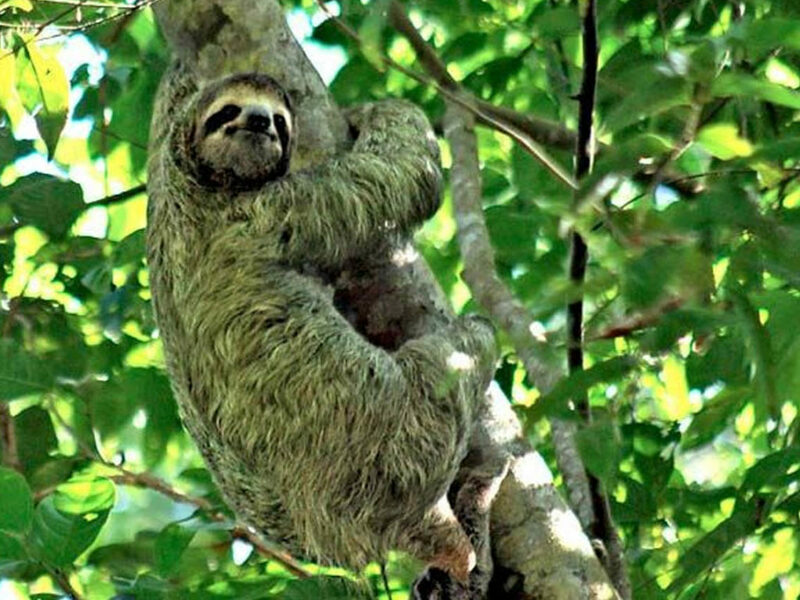 Looking for thing to do in Manuel Antonio, Costa Rica? 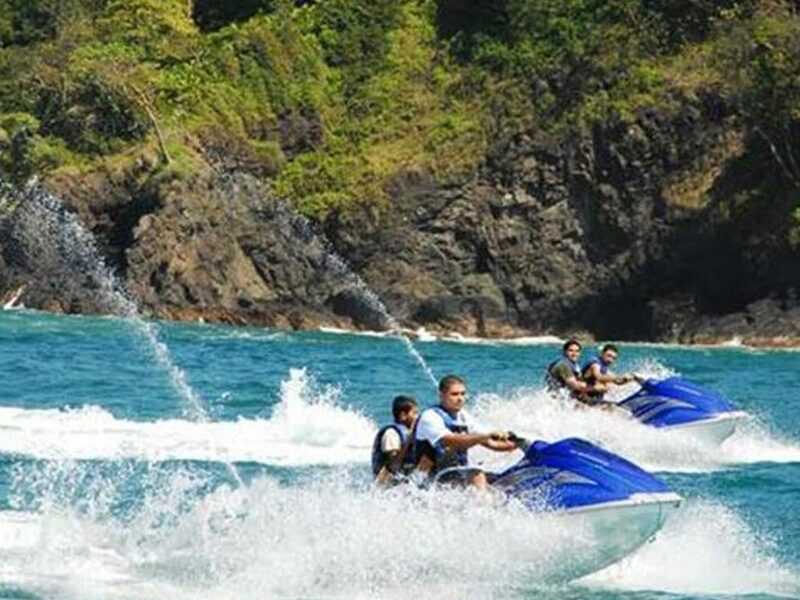 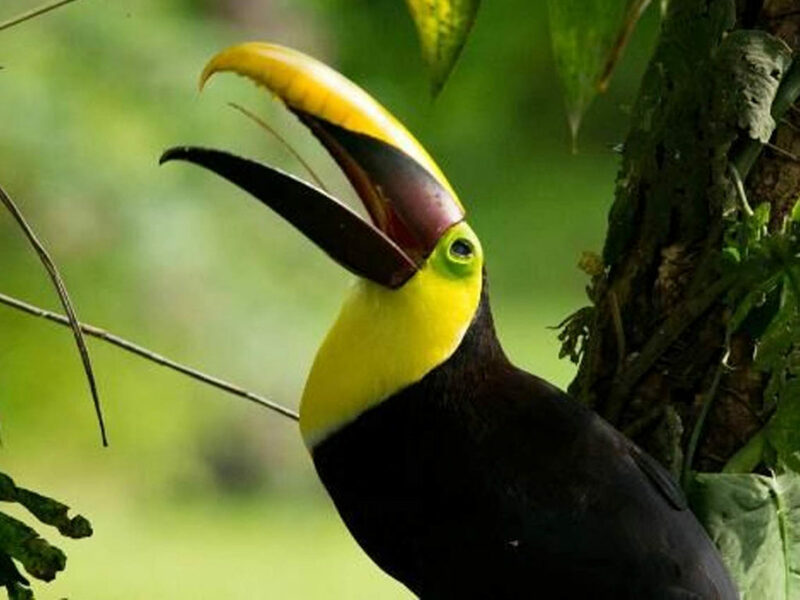 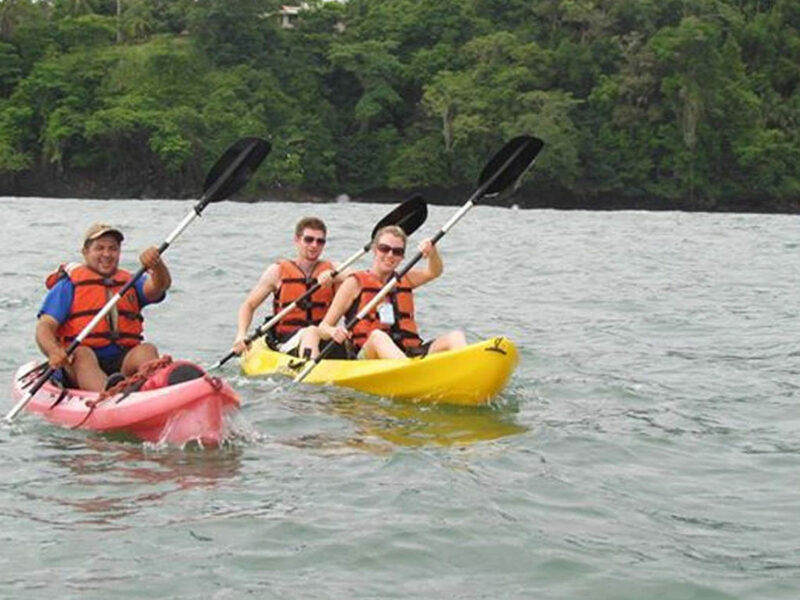 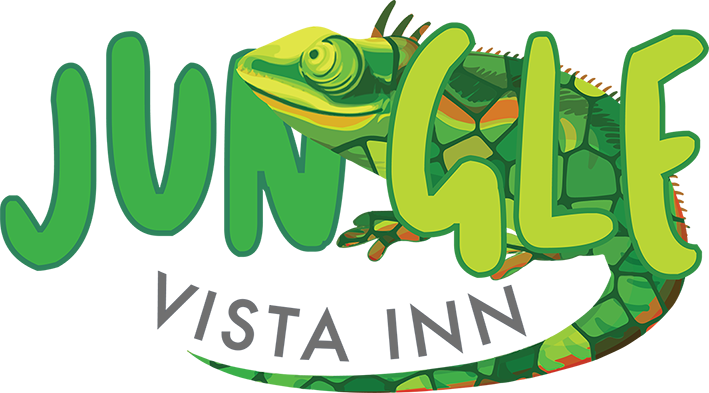 Check out some of the most exciting Manuel Antonio tours and activities, from water sports to hikes, enjoy an amazing natural experience, ideal for couples, families and friends… at Jungle Vista Inn, the ultimate destination! 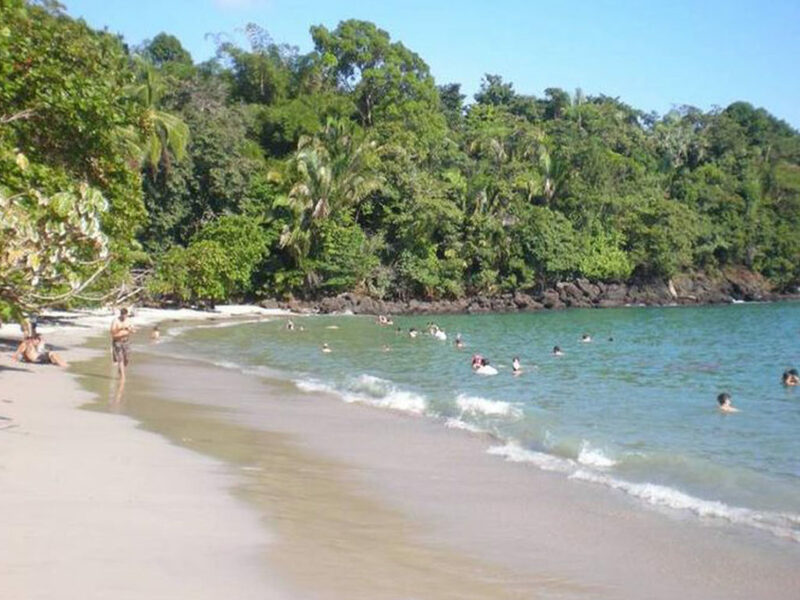 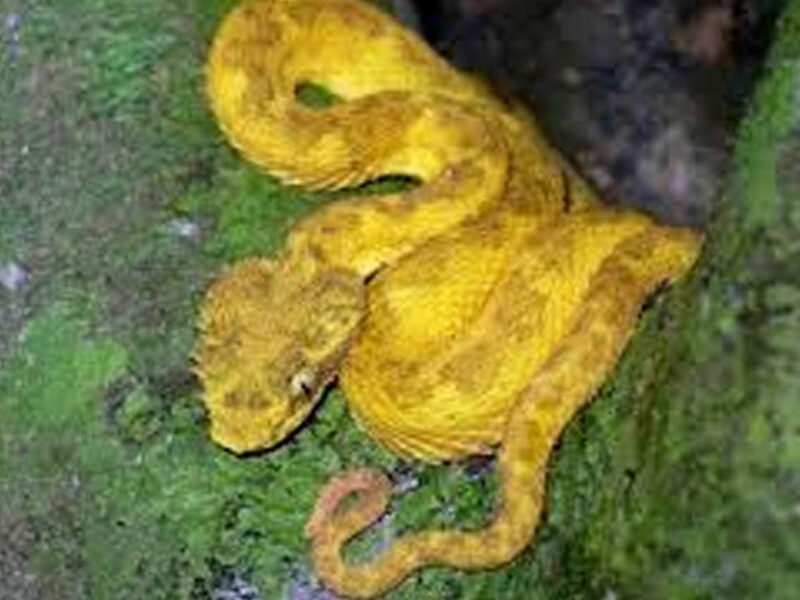 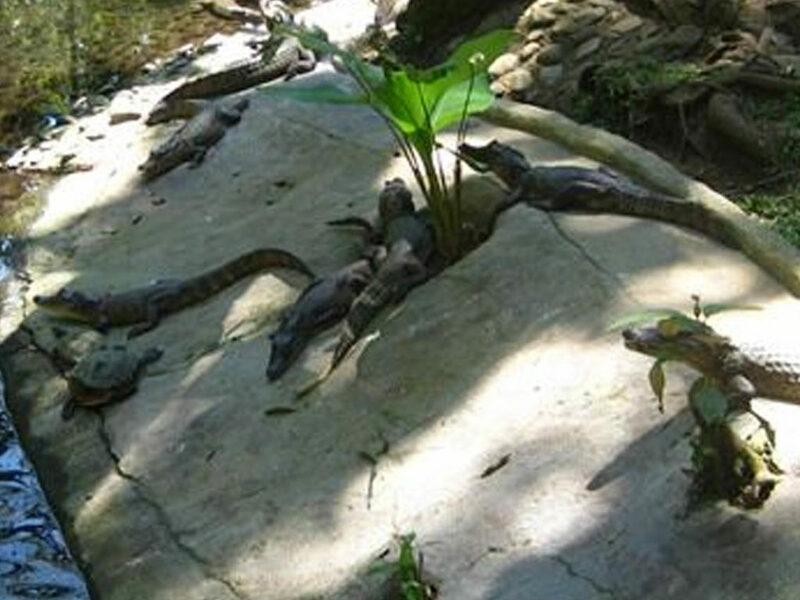 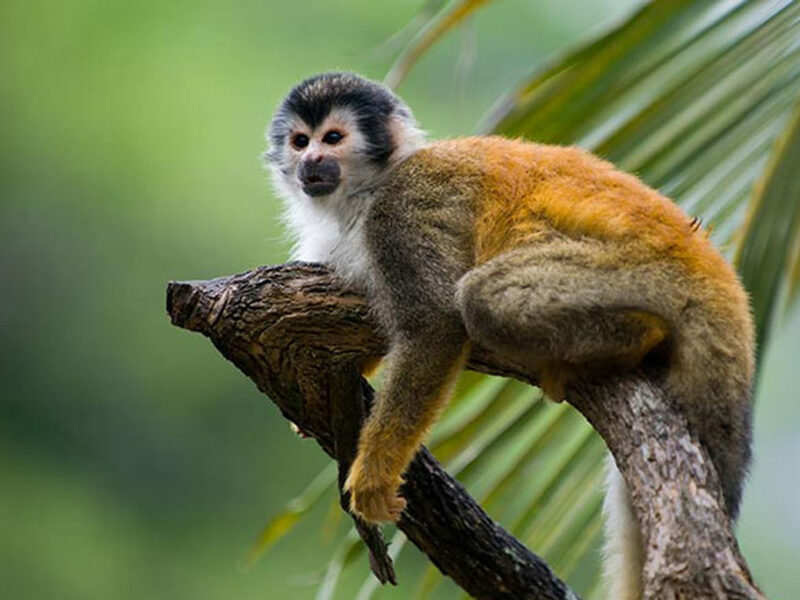 Manuel Antonio National Park ranks as one of the world’s most beautiful parks, according to Forbes Magazine. 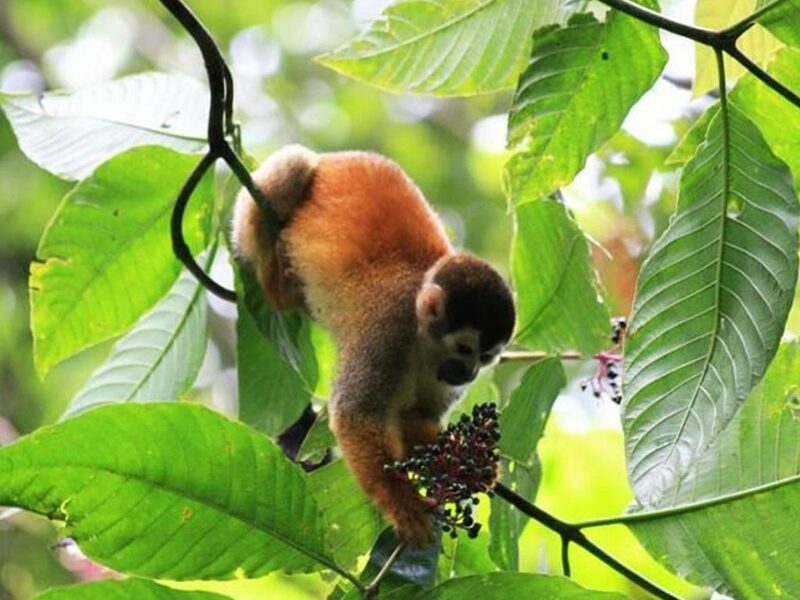 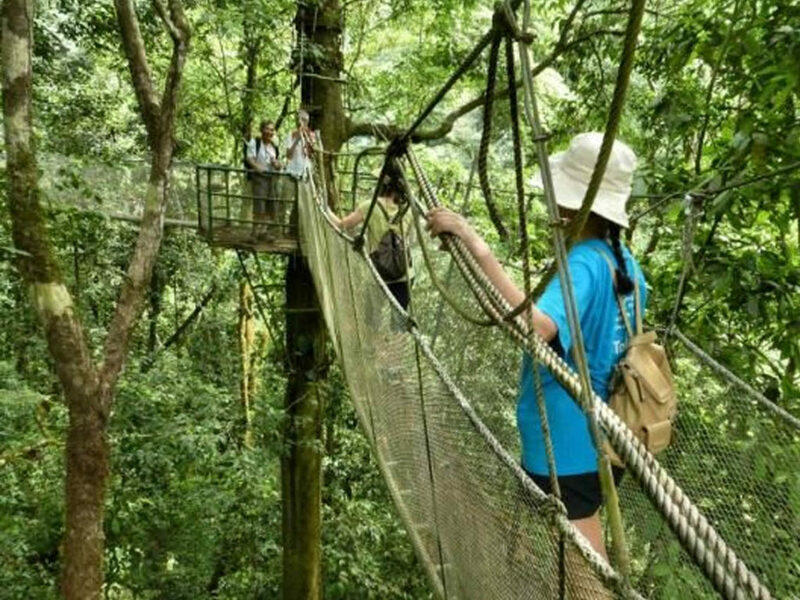 As one of Costa Rica’s premier and most visited national parks, this beautiful Park offers guests of all ages the opportunity to experience the true wonder of Costa Rica’s treasured rainforest, from the trees and plants, to the wildlife and gorgeous paradise beaches. 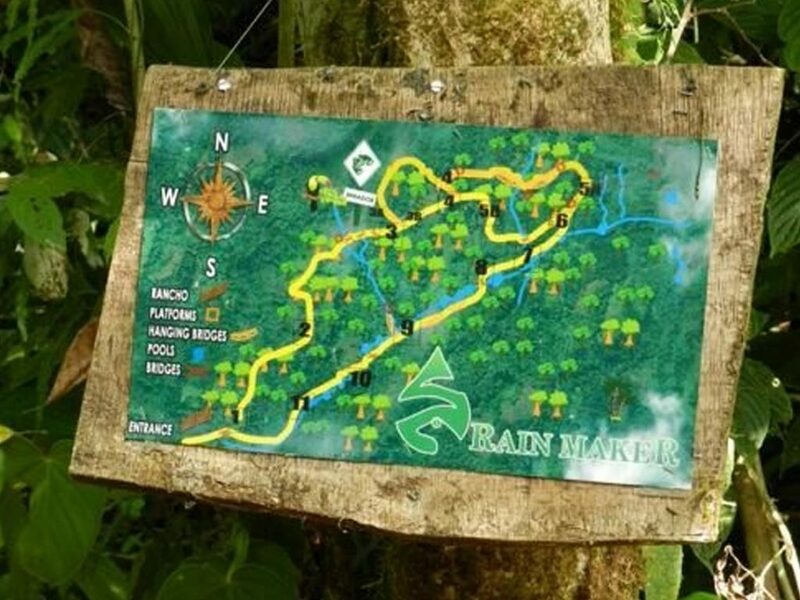 With its wonderful network of well-maintained trails, guests can either navigate the park on their own or with a certified park guide. 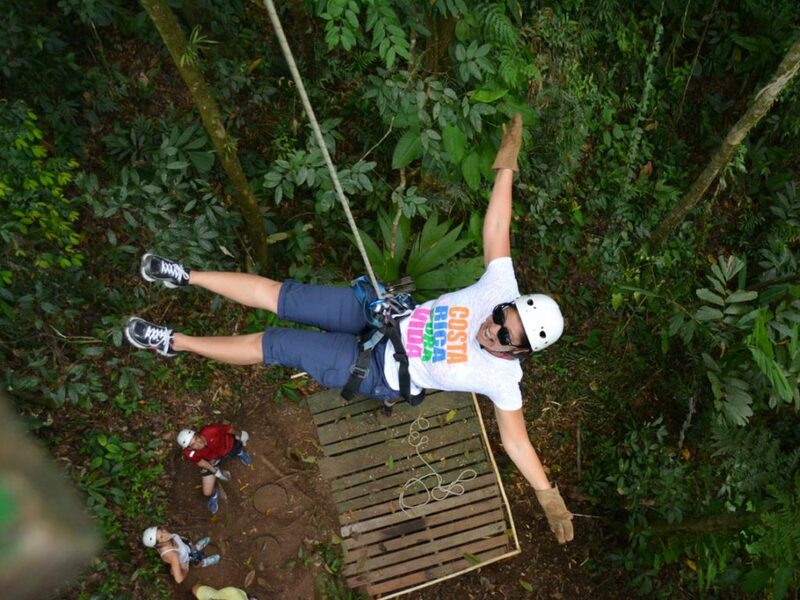 No matter what you’ll leave feeling all-naturally transformed. 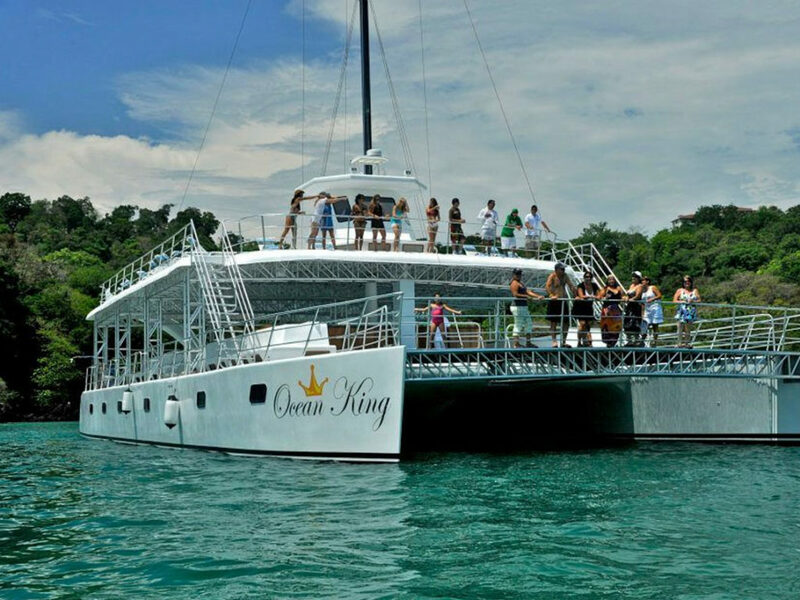 For a low-key, but high-fun afternoon or evening out, the Catamaran Boat Cruise offers guests a sea-based adventure with a relaxing twist. 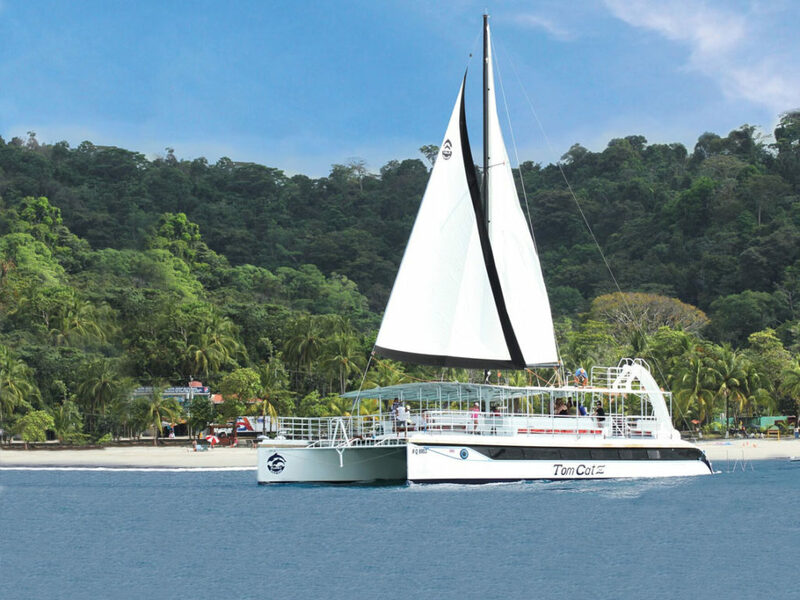 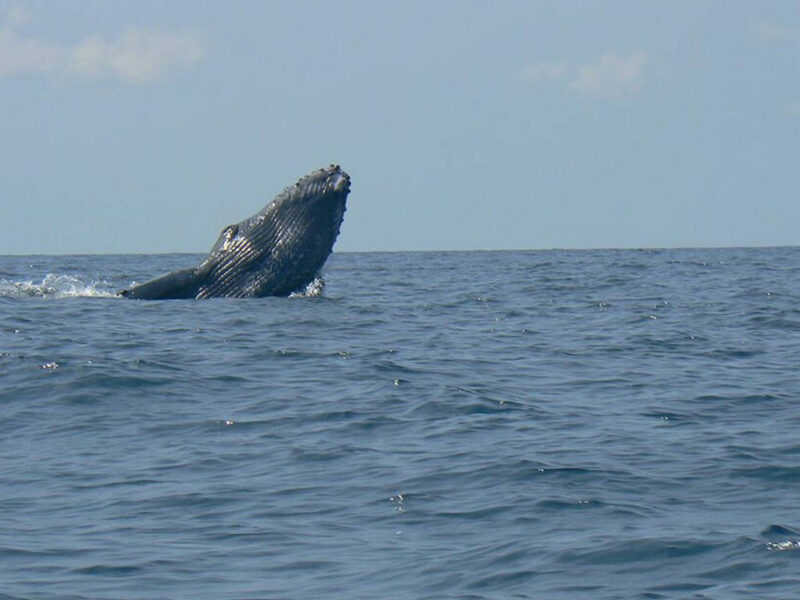 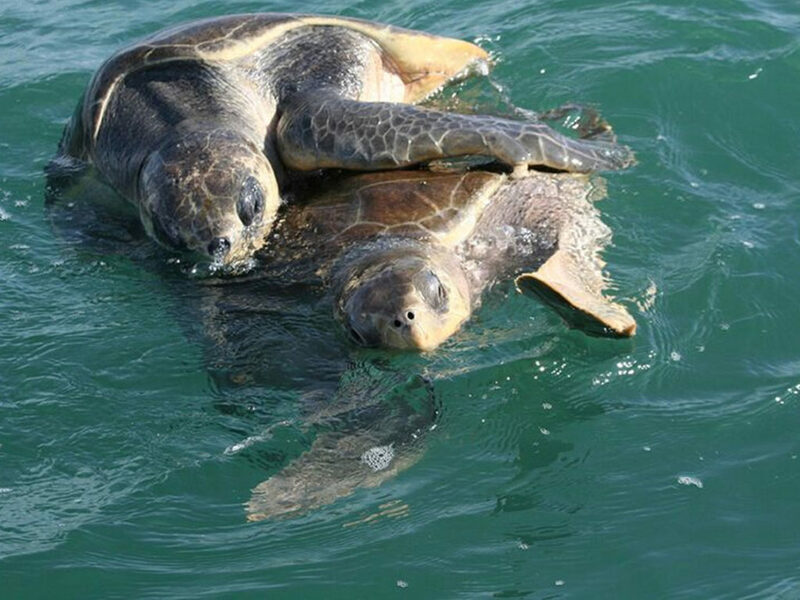 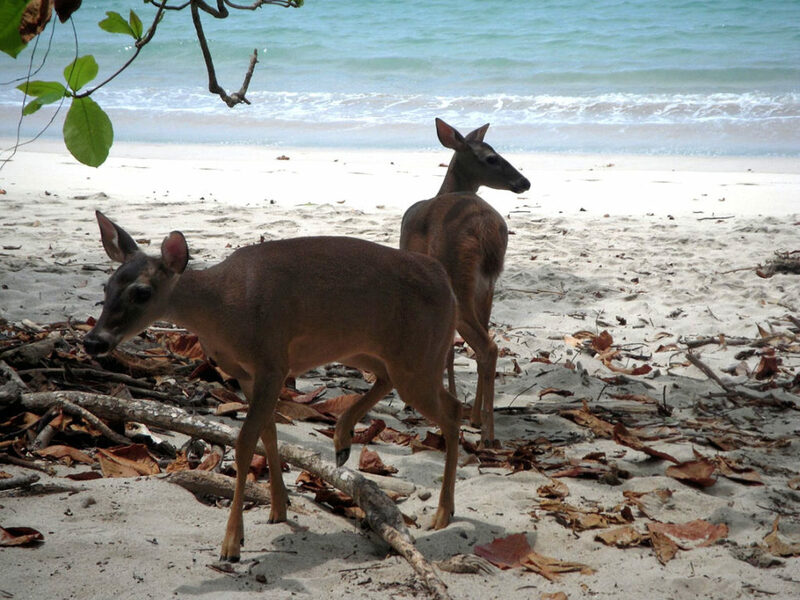 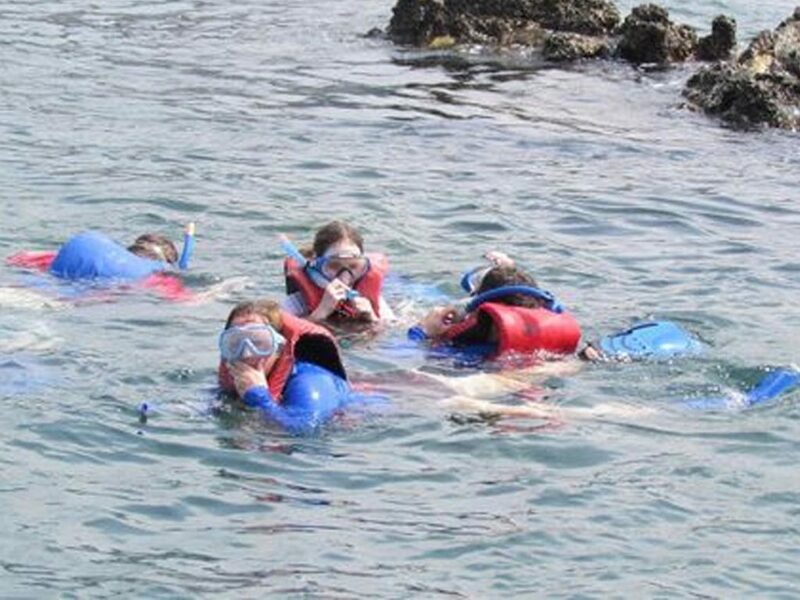 The Catamaran Boat Cruise is a beautiful way to explore Manuel Antonio’s coast not to mention an awesome opportunity to discover the wonderful animals that call the Pacific Ocean home. 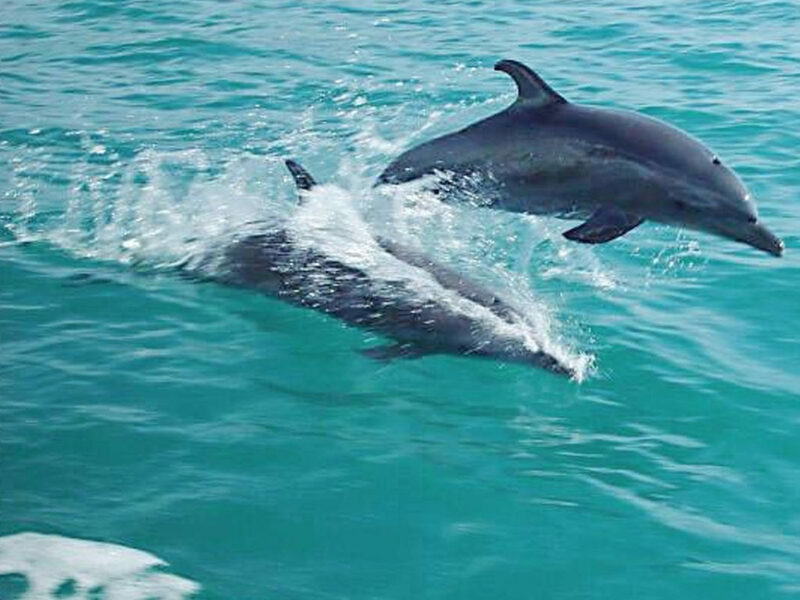 Whether from the boat or while snorkeling, whales, dolphins, and exotic fish have all been spotted during the Catamaran Boat Cruise. 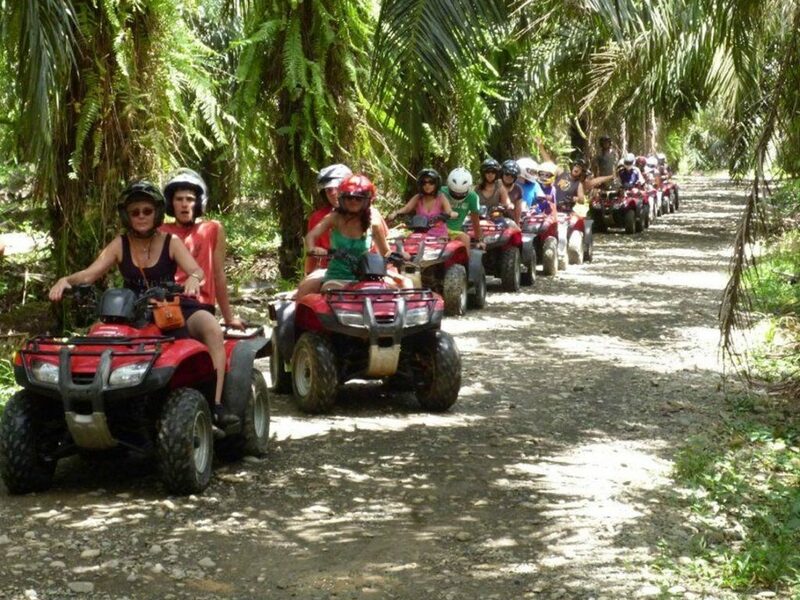 Food and drinks are included in this tour, adding even more to the social and festive feeling of this memorable excursion. 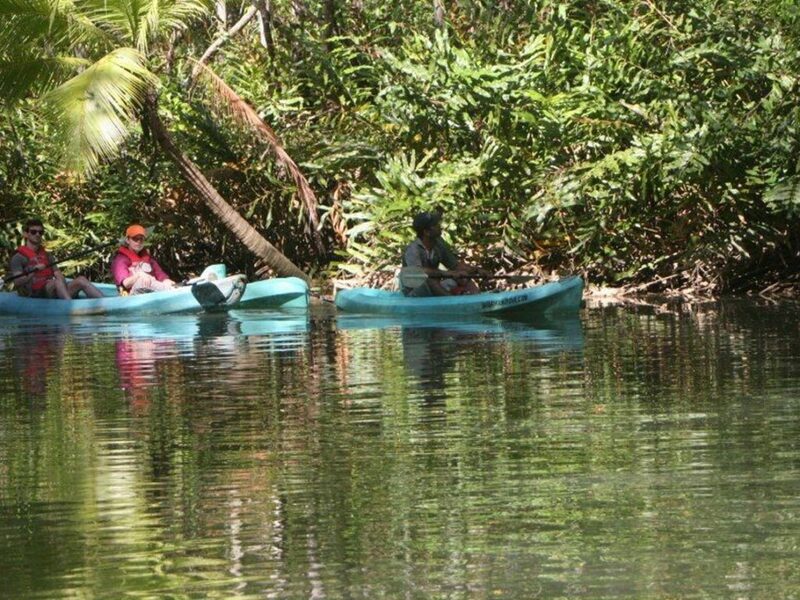 The Isla Damas Mangrove Boat and Kayak Tour is an educational, experiential, and exciting activity all in one. 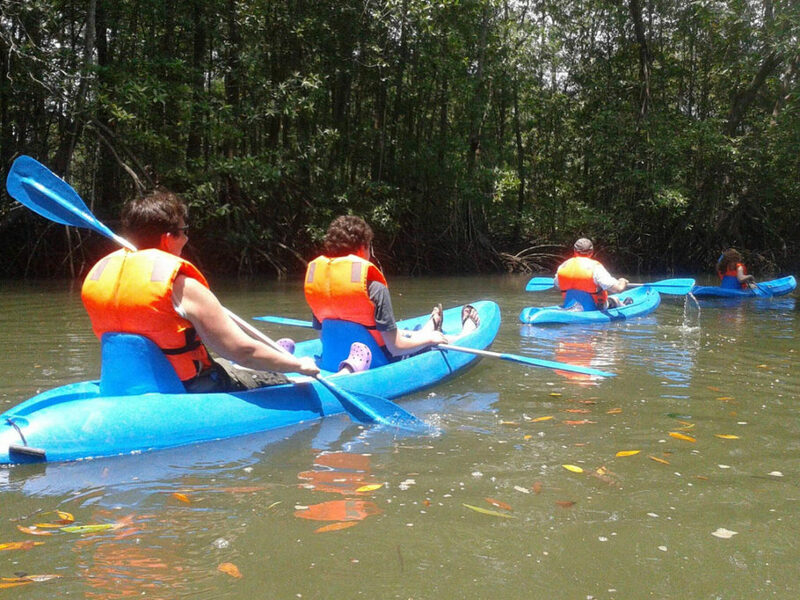 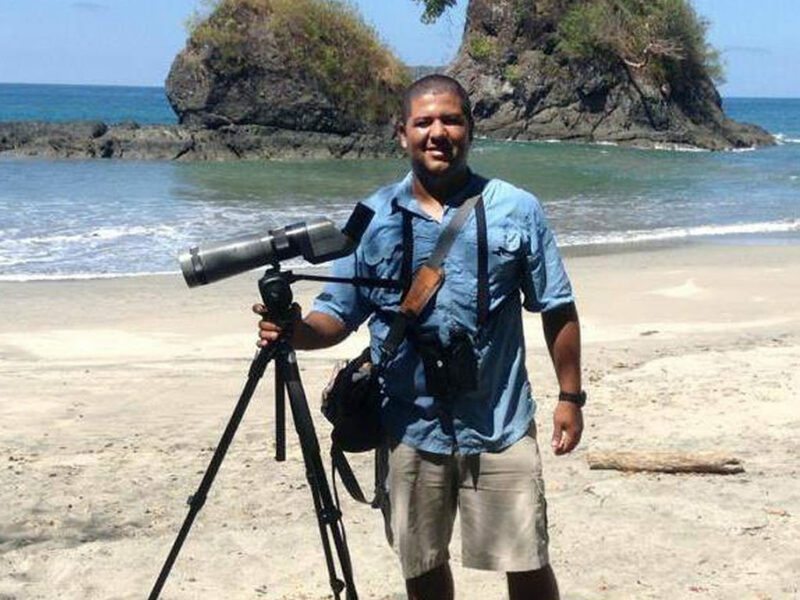 The mangrove is yet another extraordinary ecosystem that Costa Rica has to offer. 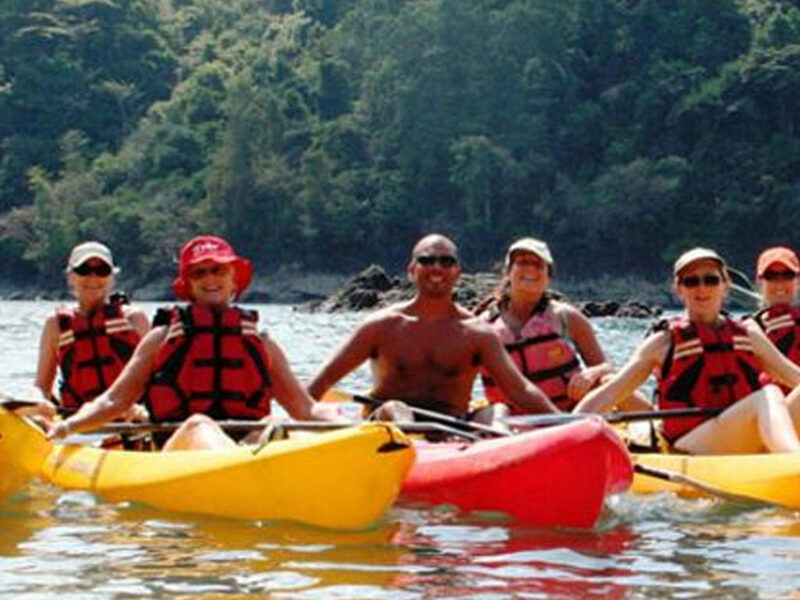 Whether by boat or kayak, this guided tour will teach guests about the wonderful and unique world of coastlines. 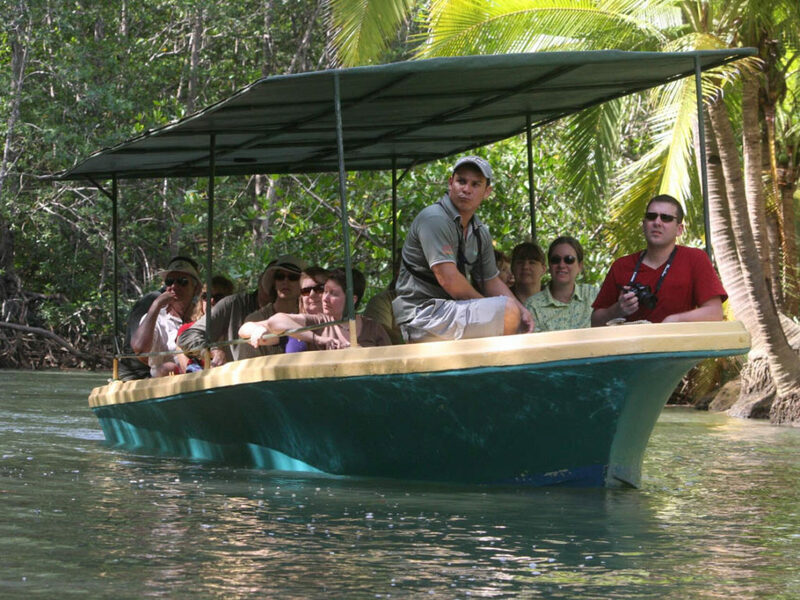 The Mangrove Boat ride is one of the region’s most popular activities and is perfect for guests of all ages. 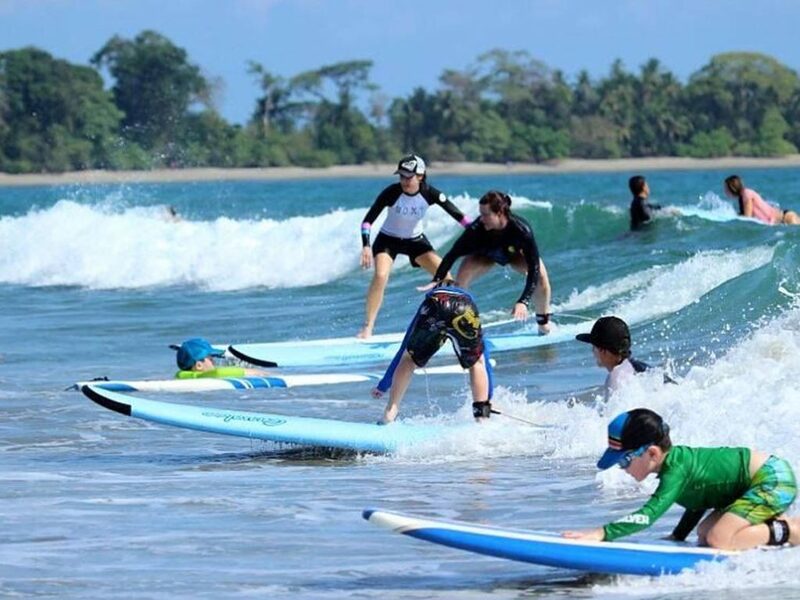 Costa Rica is famous the world over for its surfing beaches. 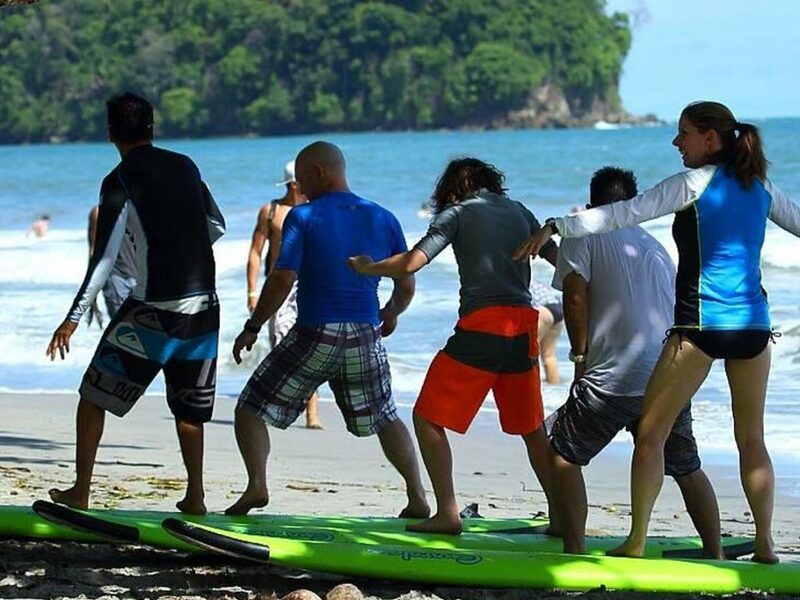 Manuel Antonio, in particular, is a perfect setting for guests looking to learn how to surf. 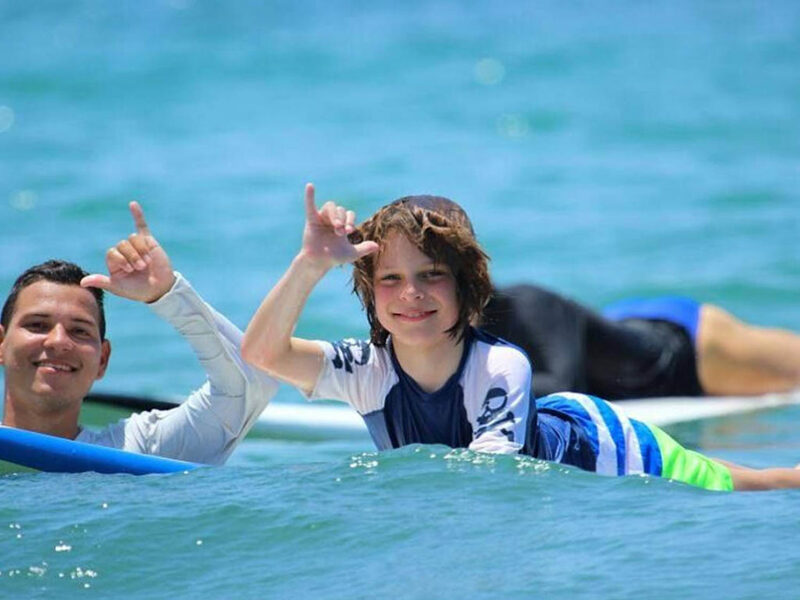 It’s beautiful beaches offer excellent surfing opportunities for beginner, intermediate, and advanced surfers alike. 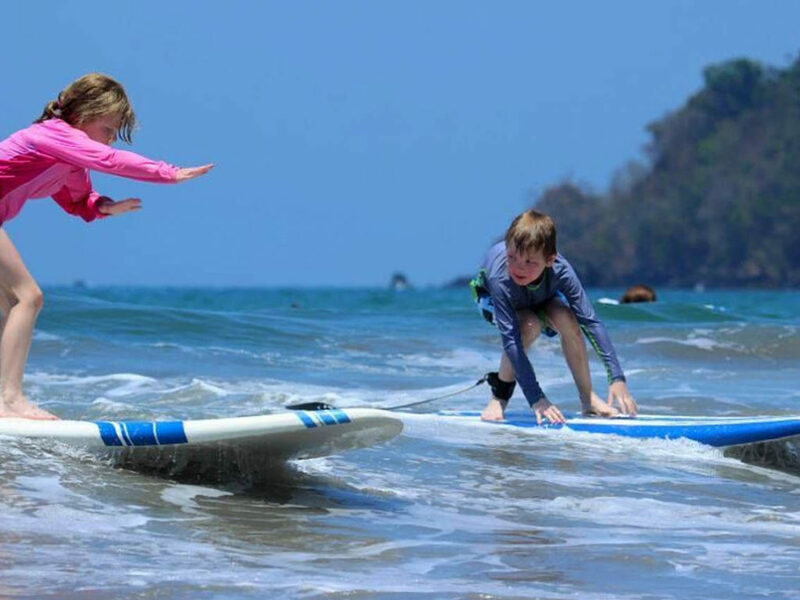 The Manuel Antonio surf school offers classes every day of the week by experienced and passionate surf instructors. 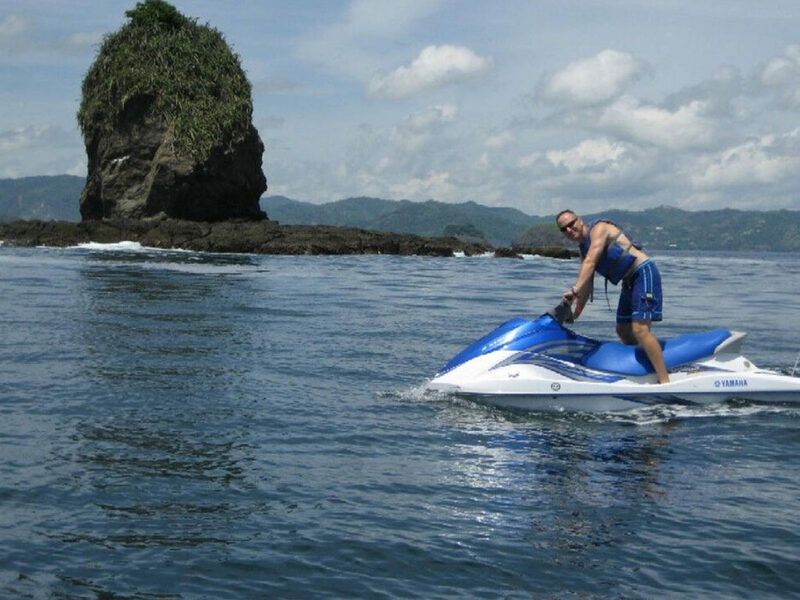 With the weather warm and the tide just right, surfing is an absolutely guaranteed fun way to spend a morning or an afternoon. 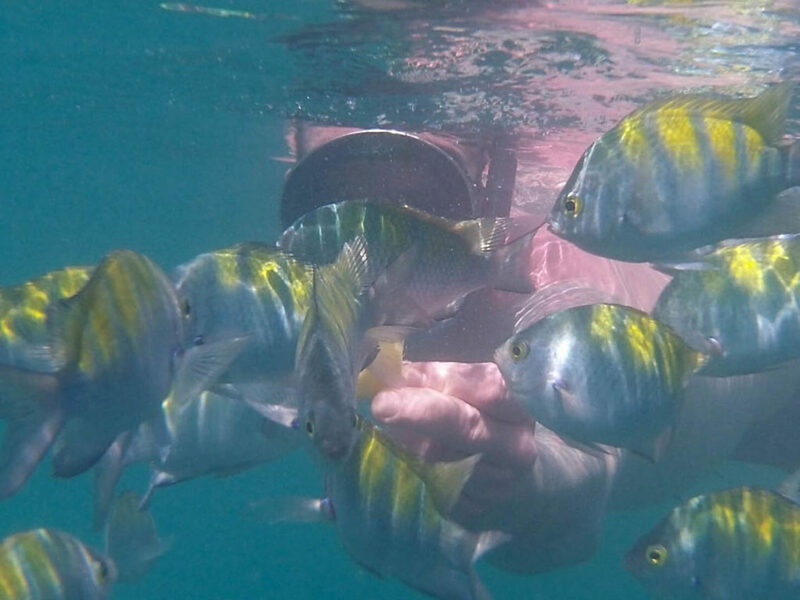 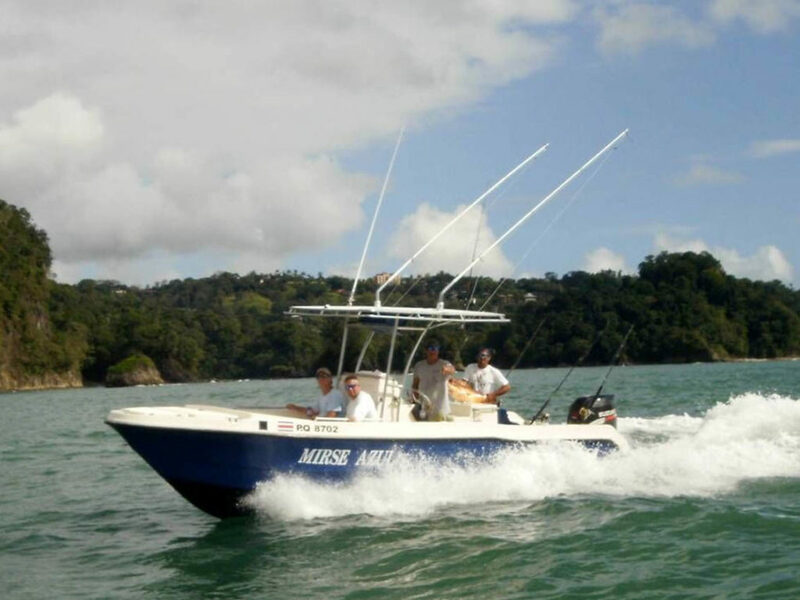 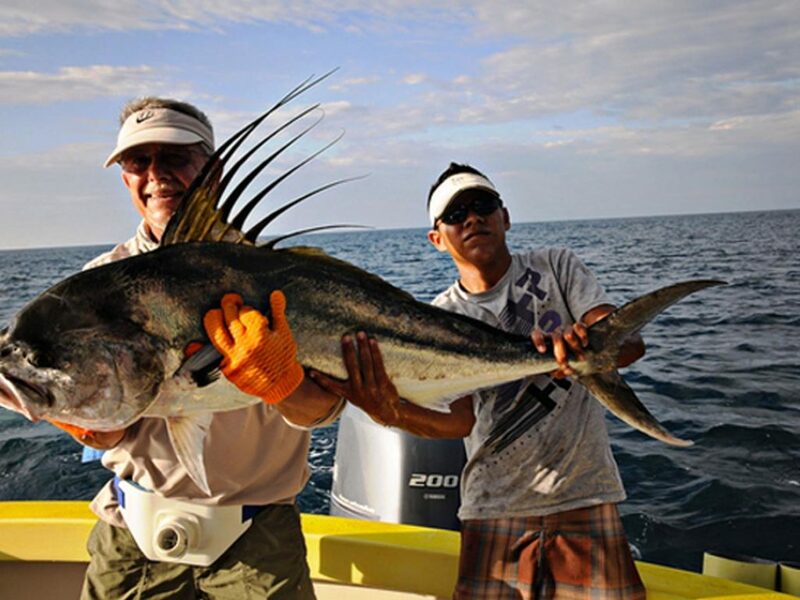 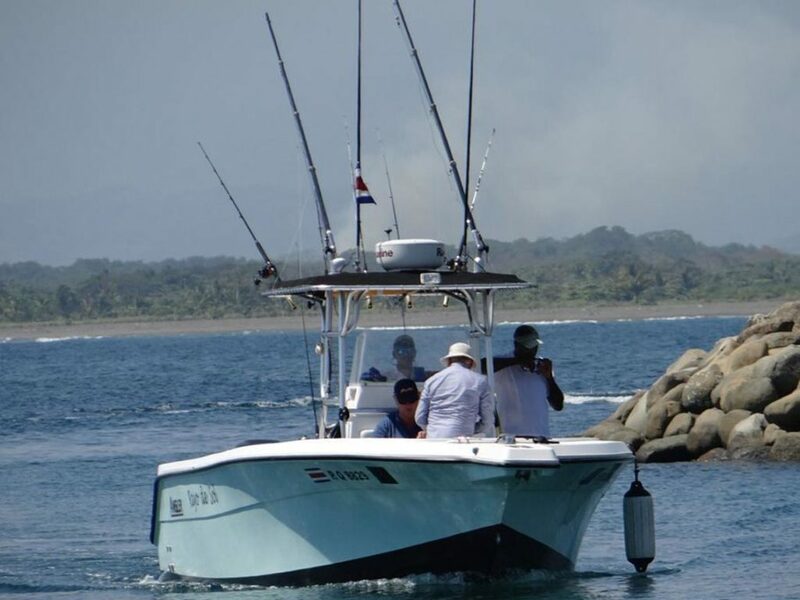 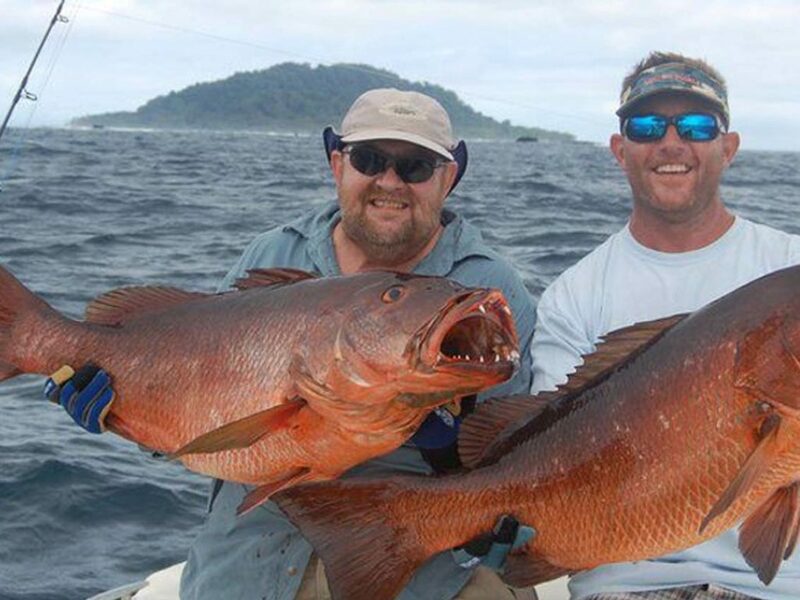 Thanks to its central location along the Pacific coast of Costa Rica, Manuel Antonio offers sportfishing enthusiasts a one-of-a-kind opportunity to travel out into the Pacific Ocean to score that one big catch. 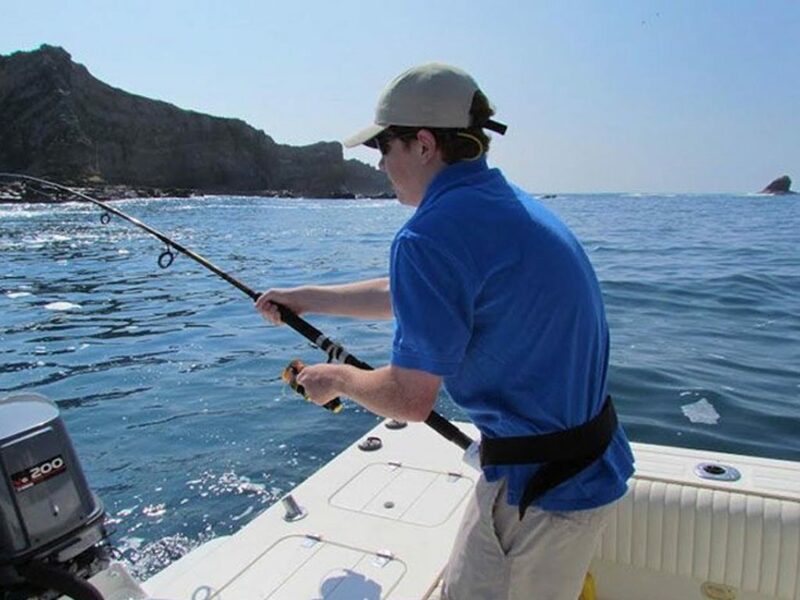 From fishing for blue marlin or dorado to snapper or yellowfin, sport fishing in this destination combines excitement of the sea with the thrill of the catch. 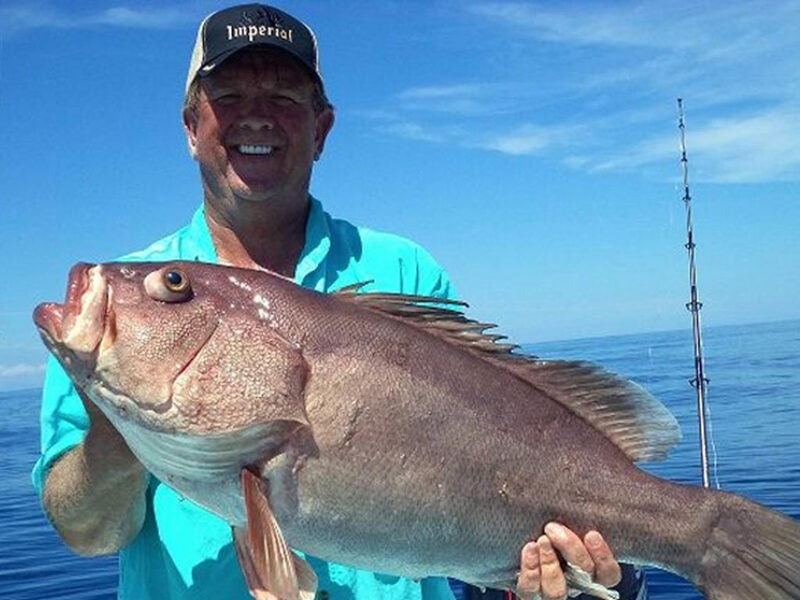 This water-based activity is sure to excite sportfishing beginners and pros alike. 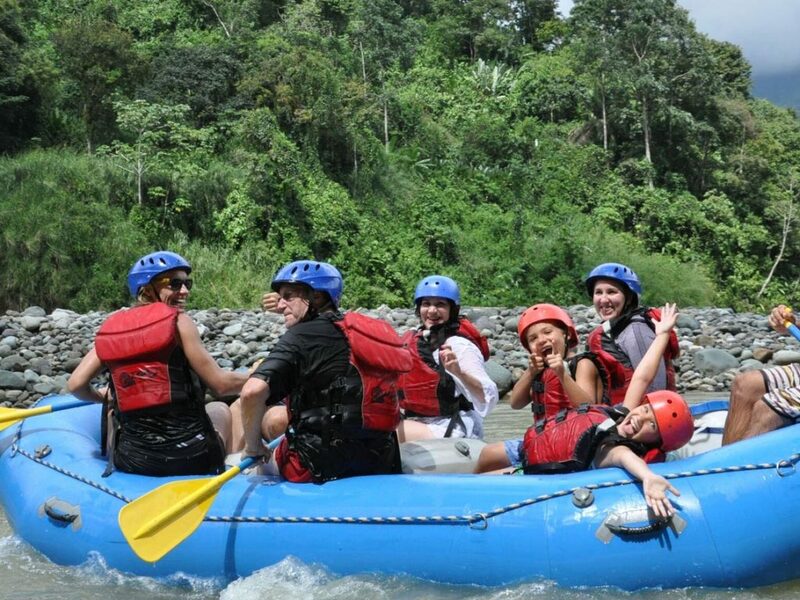 White water rafting is one of the most thrilling activities available out of Manuel Antonio. 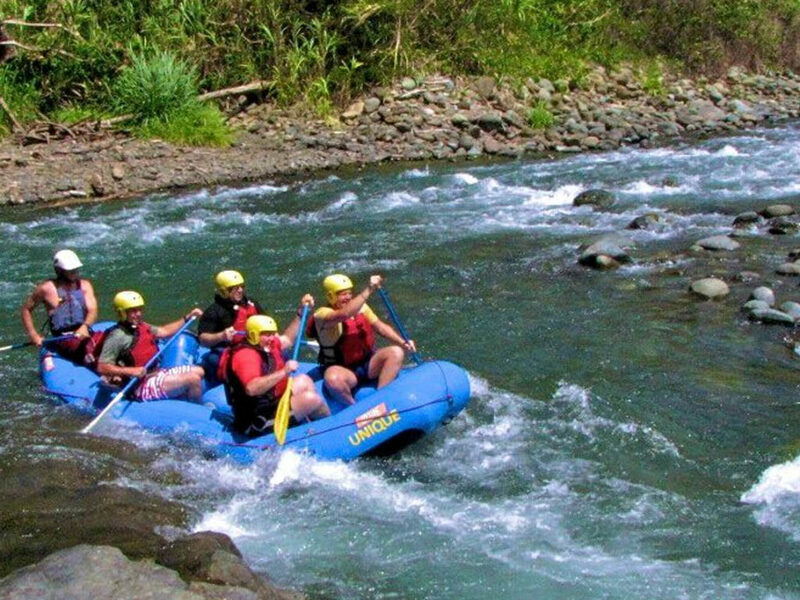 The white water rafting adventure offered are perfect for those looking to experience a fast-paced, all-natural adventure. 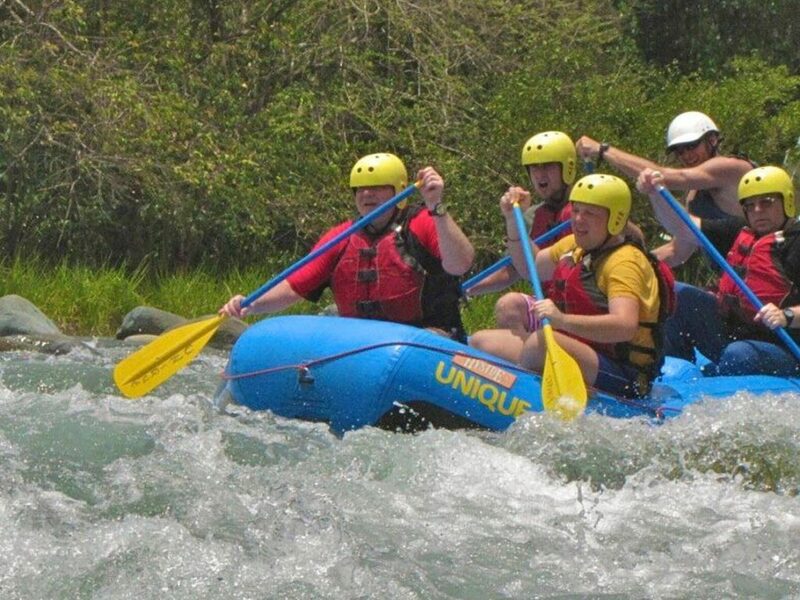 Whether rafting down the Savegre River or the Naranjo River, these half-day activities are fun for everyone. 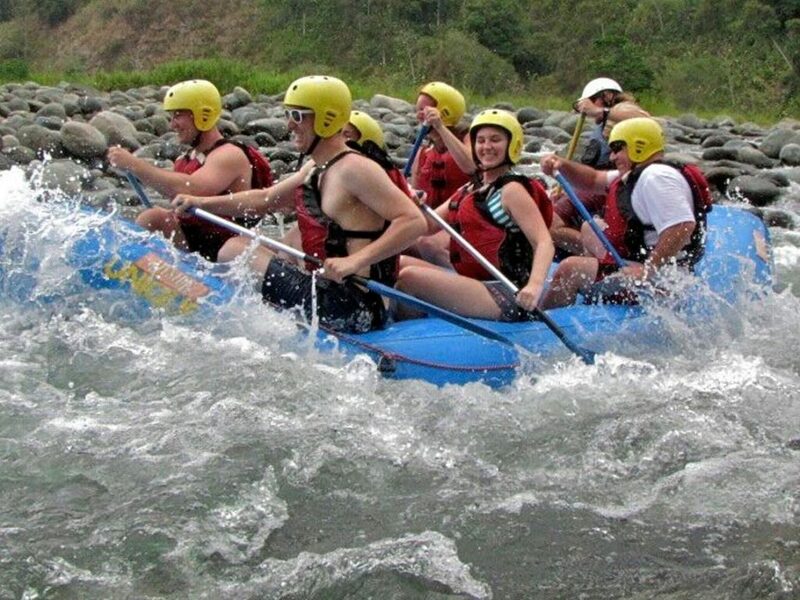 Experienced and passionate guides lead these white rafting tours, offering up their energy and knowledge to create an unforgettable experience. 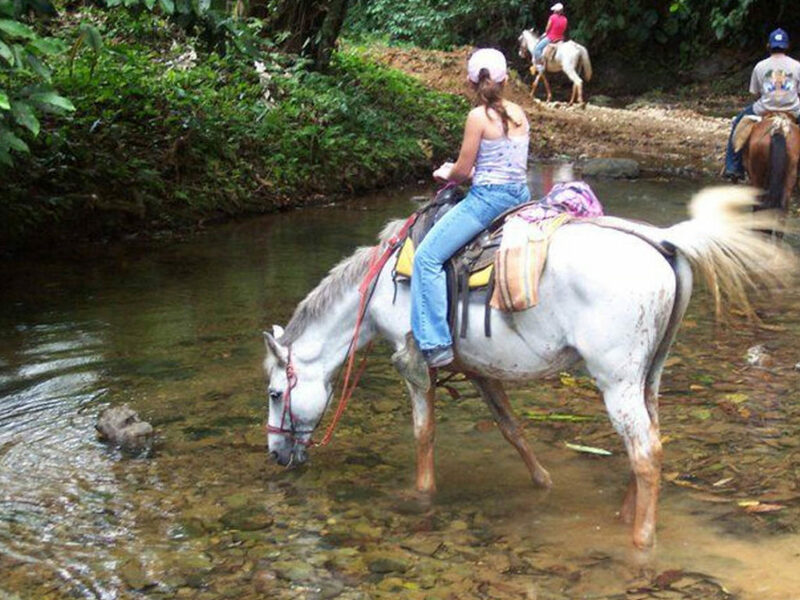 The stop at waterfall along the way for fresh fruit and drinks further adds to the beauty and adventure of this amazing half-day activity. 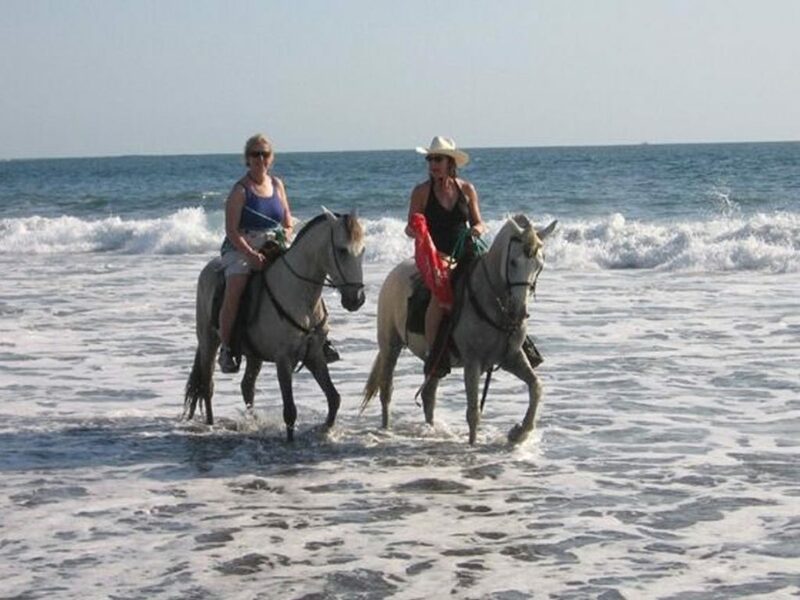 Experience the wonder and joy of Manuel Antonio’s nature from horseback. 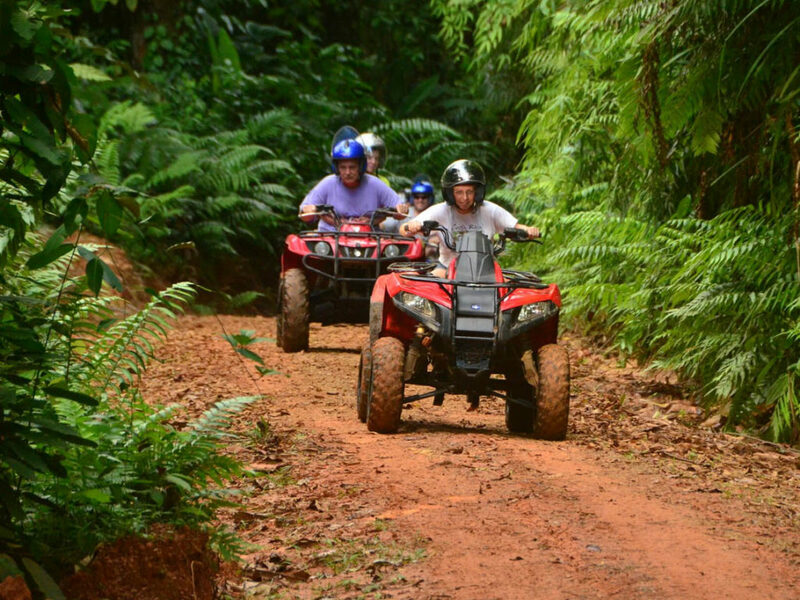 This casual, half-day adventure activity is perfect for guests looking for a thrilling, yet more relaxed outdoor activity. 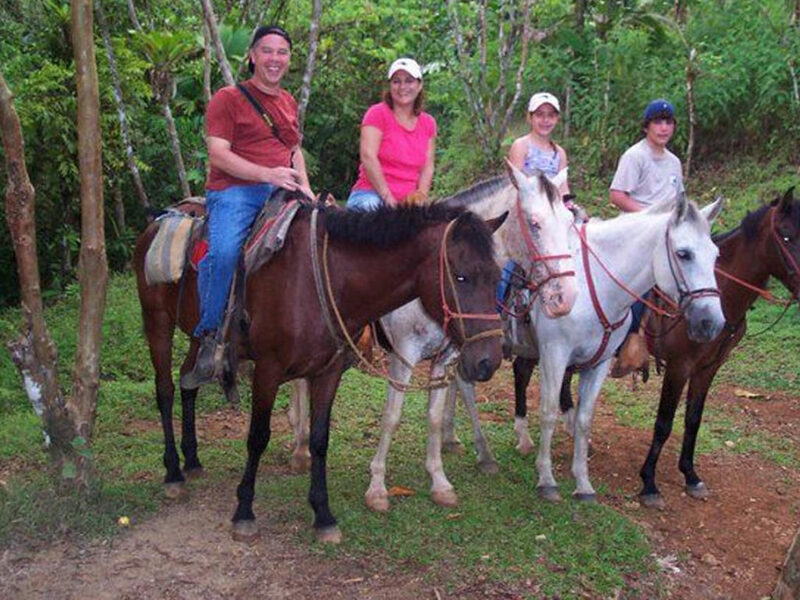 Experienced, bilingual guides lead guests by horseback along well-maintained paths through the rainforest and beach. 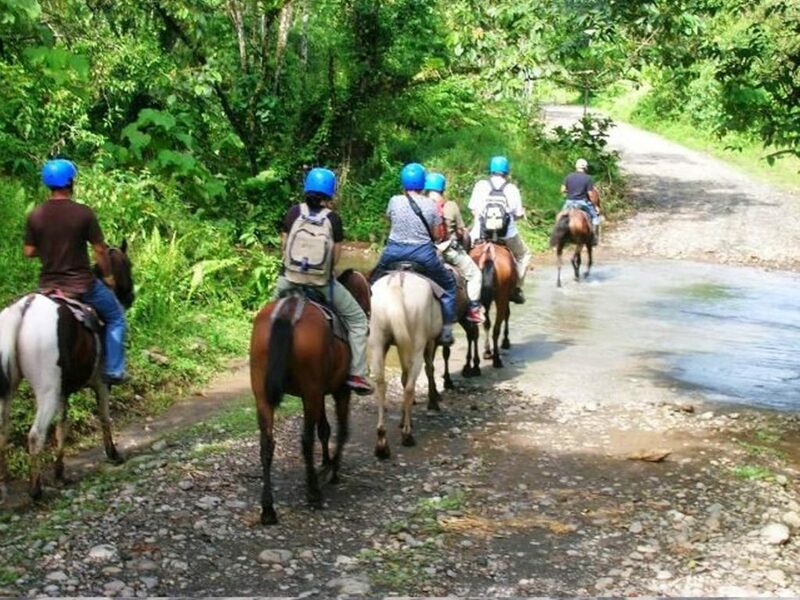 Against the steady and soothing rhythm of the moving horse, this activity offers a wonderful way to experience the beauty of your all-natural surroundings. 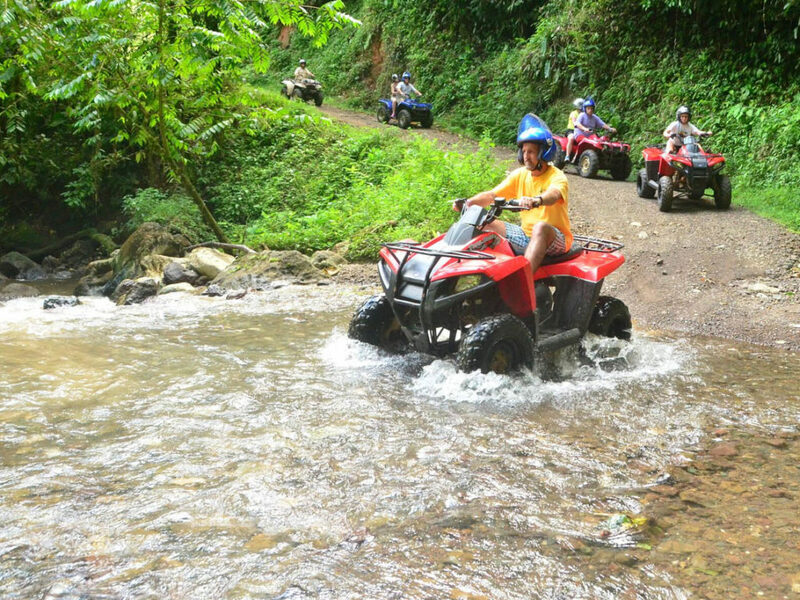 The ATV Quad Adventure ride is perfect for thrill-seekers who love the great outdoors. 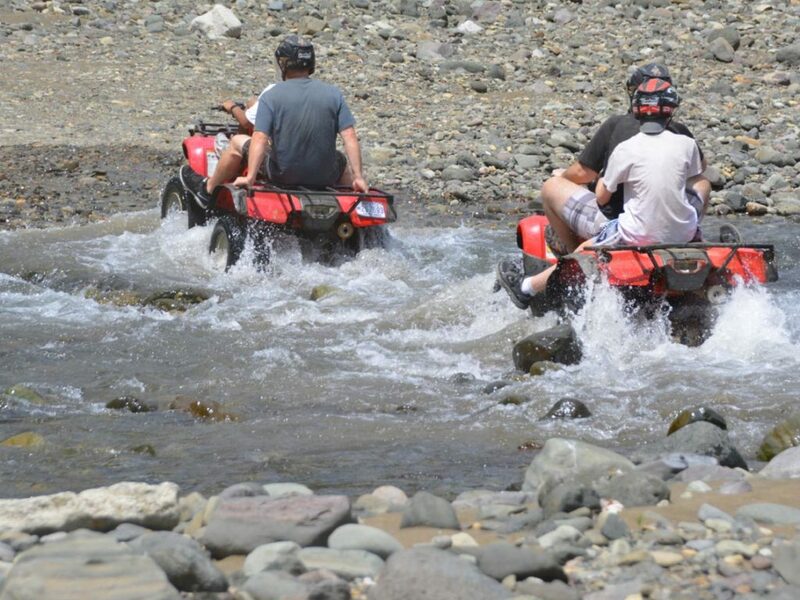 Whether beginner or experienced, this ATV Quad is an absolute adrenaline rush. 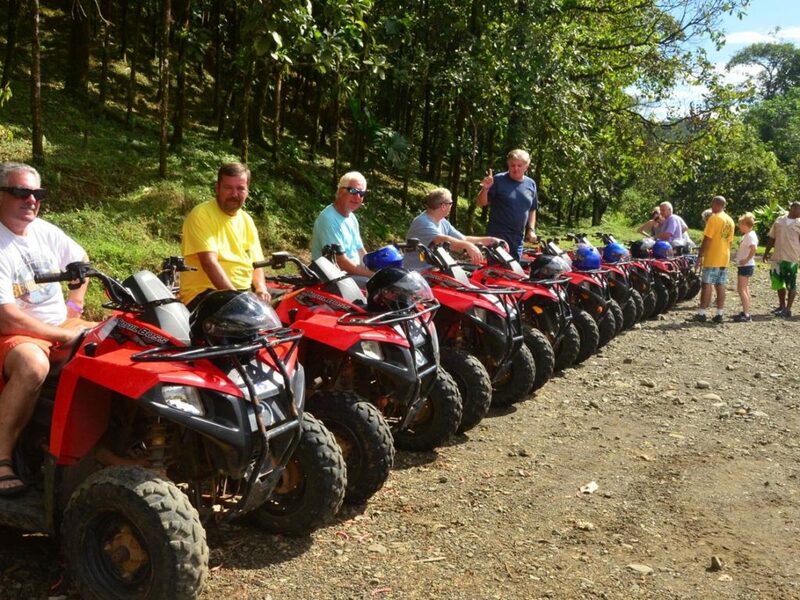 Led by bilingual, highly experienced guides and ATV operators, this half-day outdoor activity is ideal for those seeking to add a little speed to their nature intake. 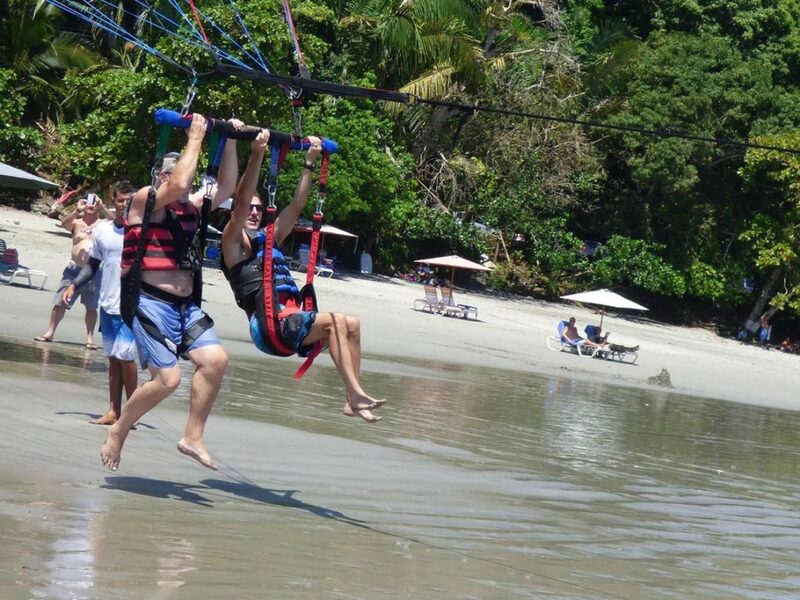 Arguably the most popular of the Manuel Antonio adventure activities available, the Zip Line Canopy is one of the most fun outdoor adventure experiences you’ll ever have. 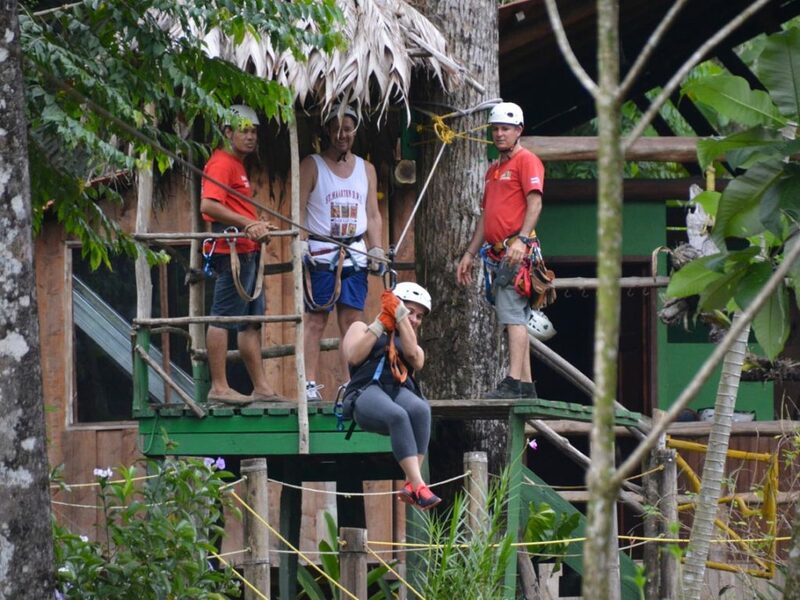 Not for those with a fear of heights, the Zip Line Canopy Tour offers guests a one-of-a-kind view of the rainforest all while maintaining a healthy dose of adrenaline. 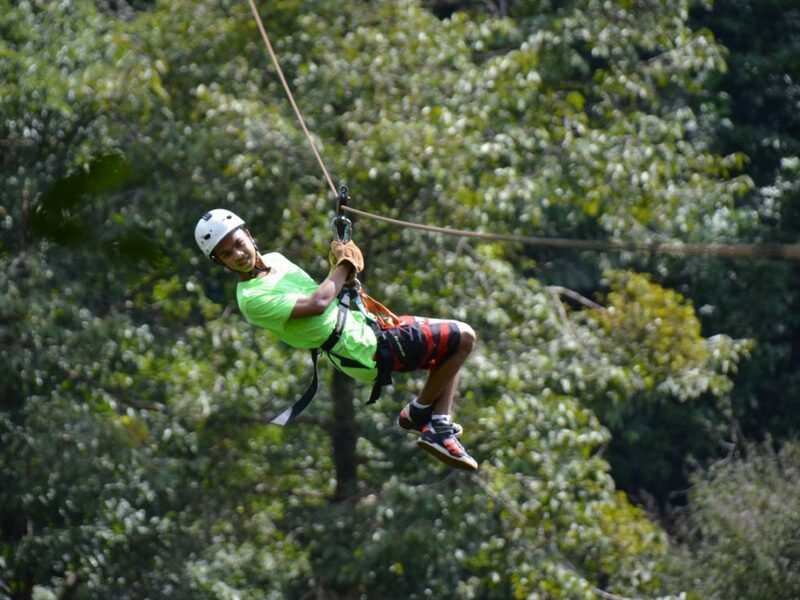 This half-day outdoor activity is wonderful for guests of all ages, and the experienced guides ensure a safe and fun activity for all. 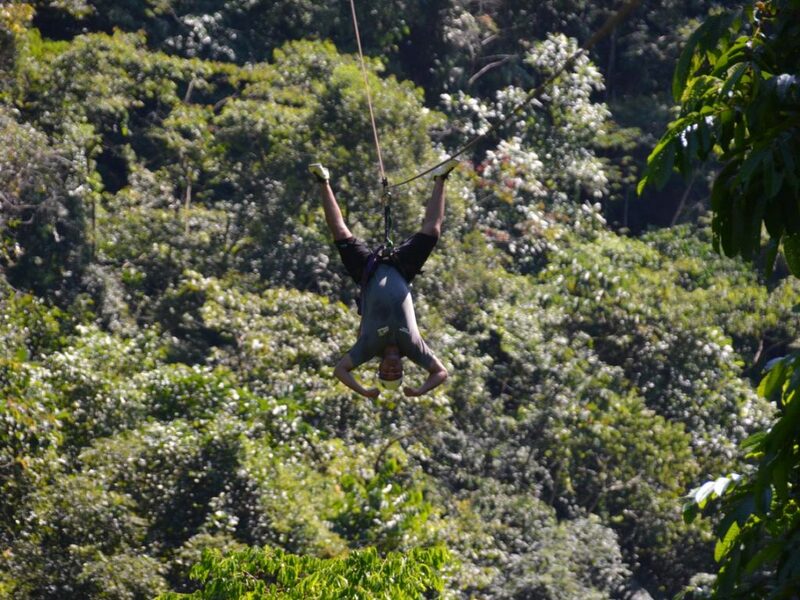 The Rainmaker Conservation Tour offers guests the thrill of the Zip Line Canopy, but without the speed. 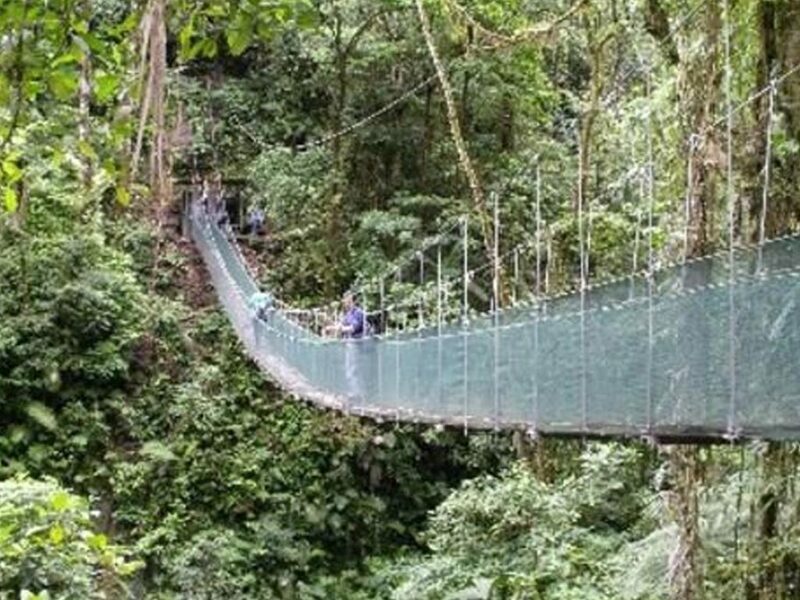 Thanks to an ingenious network of bridges constructed amidst the rainforest canopy, guests can traverse this 3,000 acre preserve. 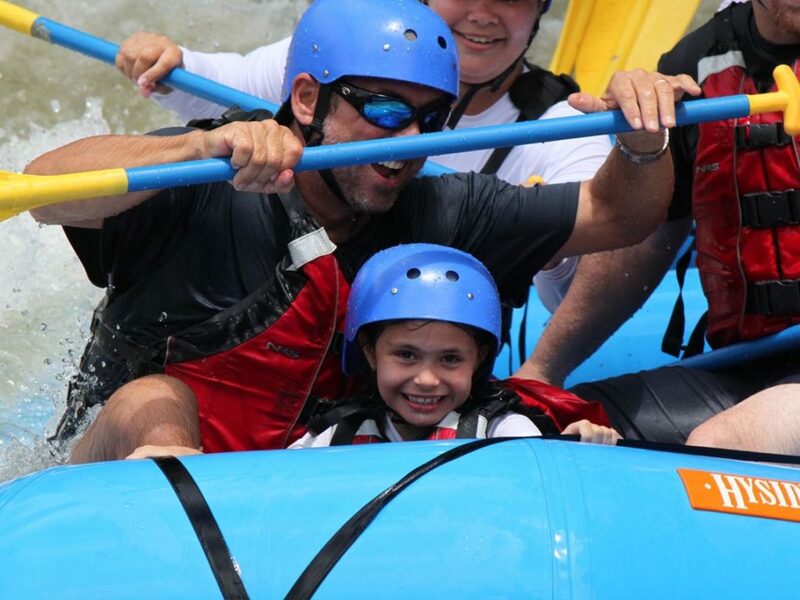 A waterfall pool adds an extra rejuvenating twist to this exciting-for-all-ages half-day adventure activity. 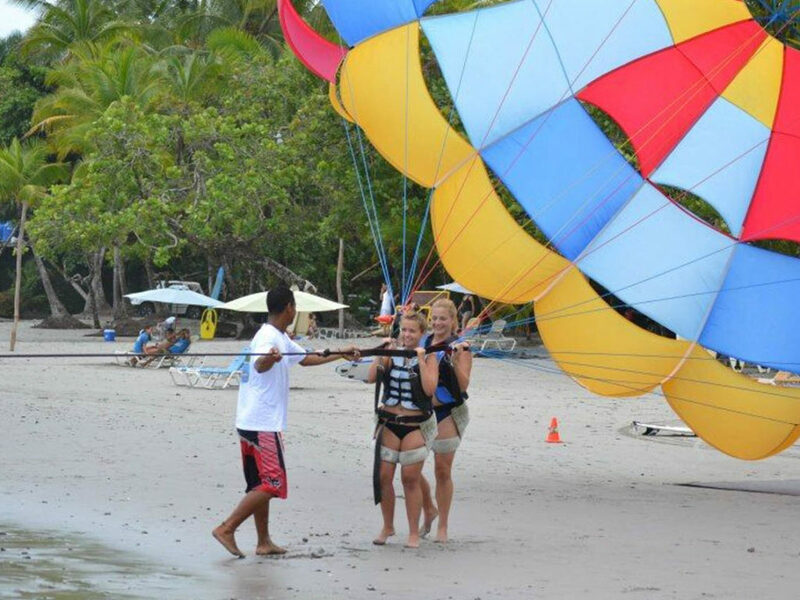 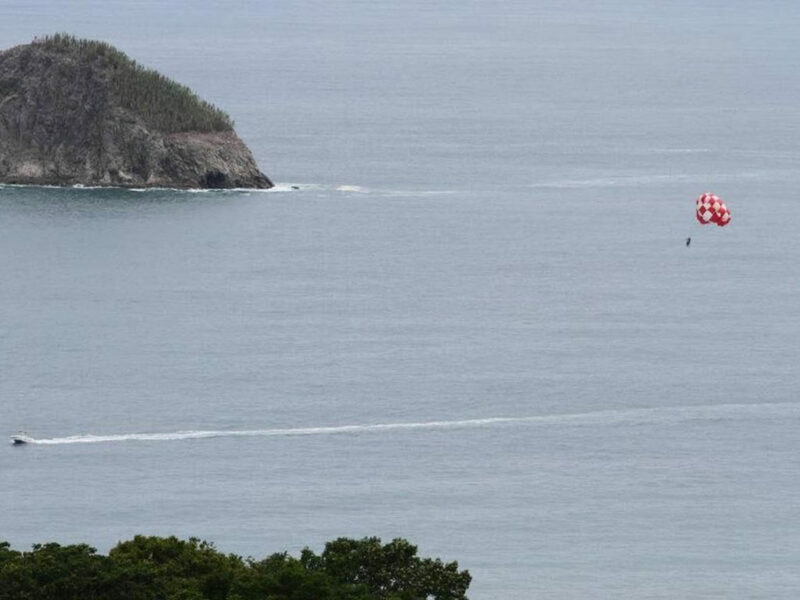 Parasailing is offered just off of Playa Manuel Antonio, the town’s main beach, is an excellent outdoor activity for the morning or afternoon. 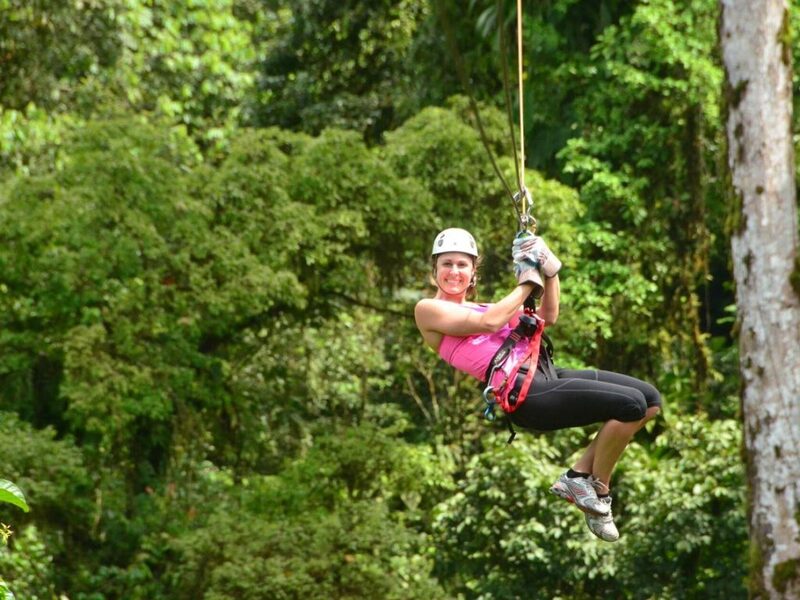 Over this ten minute trip high above the coast, guests will be able to experience a spectacular panoramic view of the rainforest canopy. 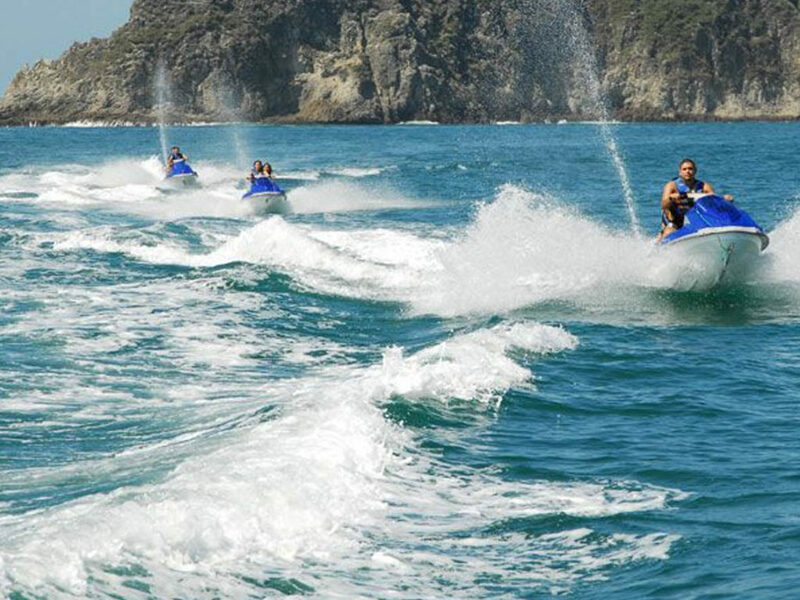 The Jet Ski Tour is perfect for those seeking the thrill of speed in aquatic form. 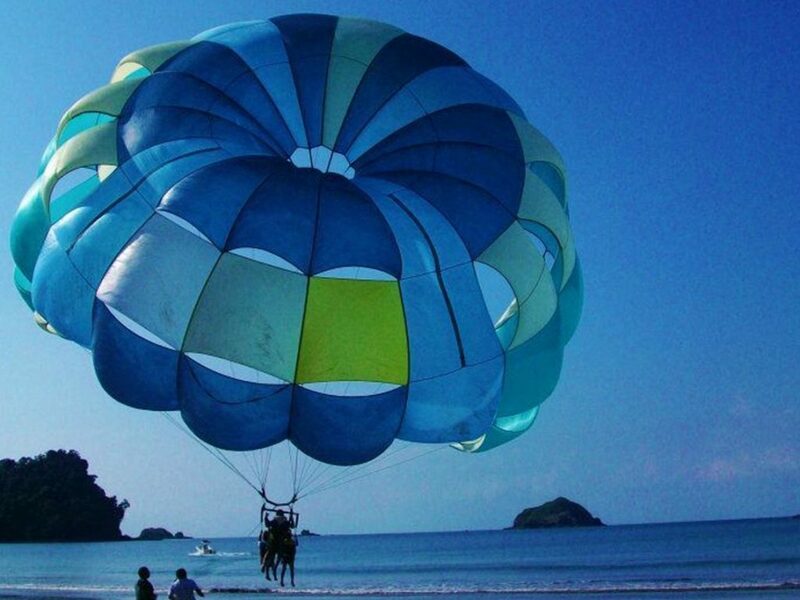 Nothing beats zipping around atop the Pacific Ocean while taking in the paradise panorama of the Manuel Antonio coast. 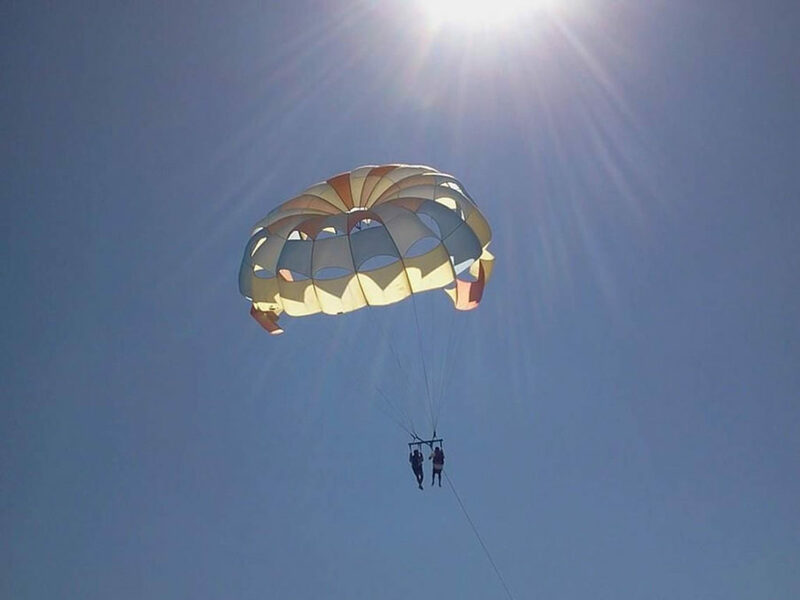 This is a great morning or afternoon activity while hanging out at the beach. 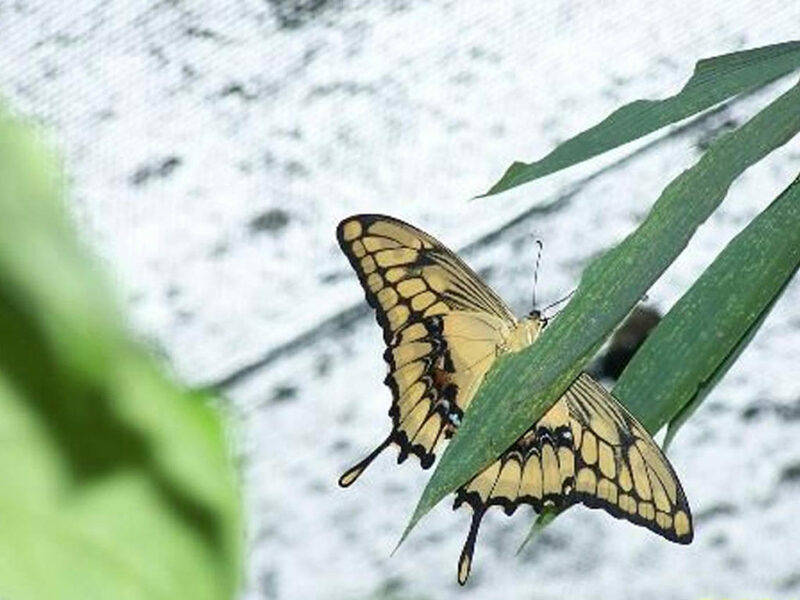 The Butterfly Gardens is a one hour guided activity that offers a fun, relaxed, all-natural butterfly-based experience. 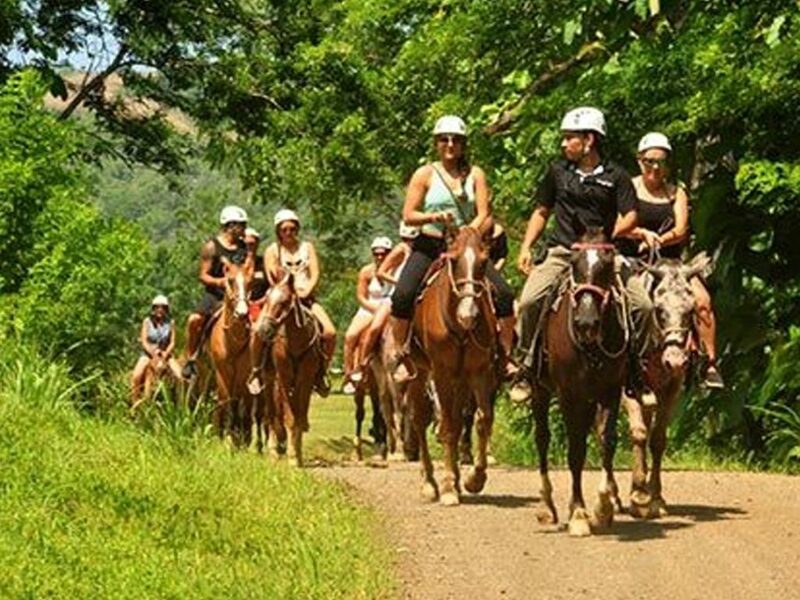 This is the perfect activity to balance out your adventure tours. 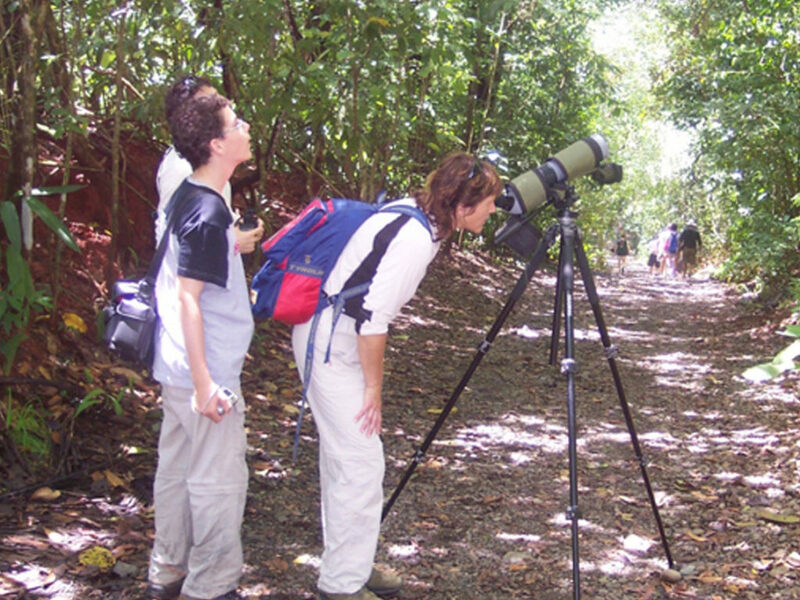 This butterfly preserve is home to over twenty species of butterfly. 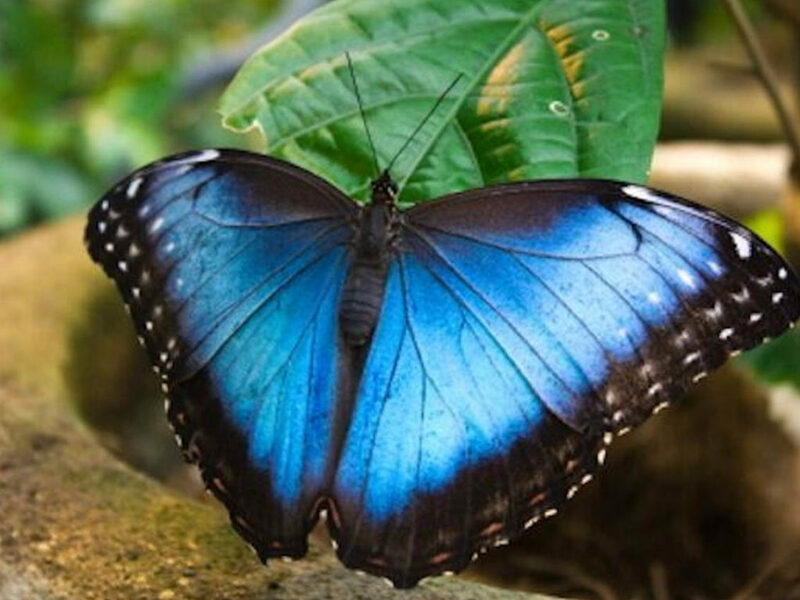 Make sure to bring your camera because these butterflies are truly breathtaking. 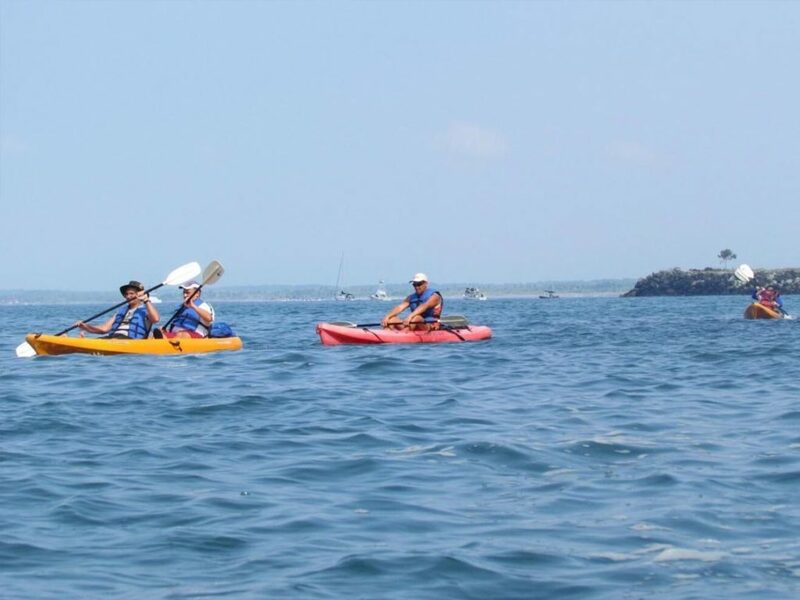 The Ocean Kayak Tour will be a workout you’ll never forget. 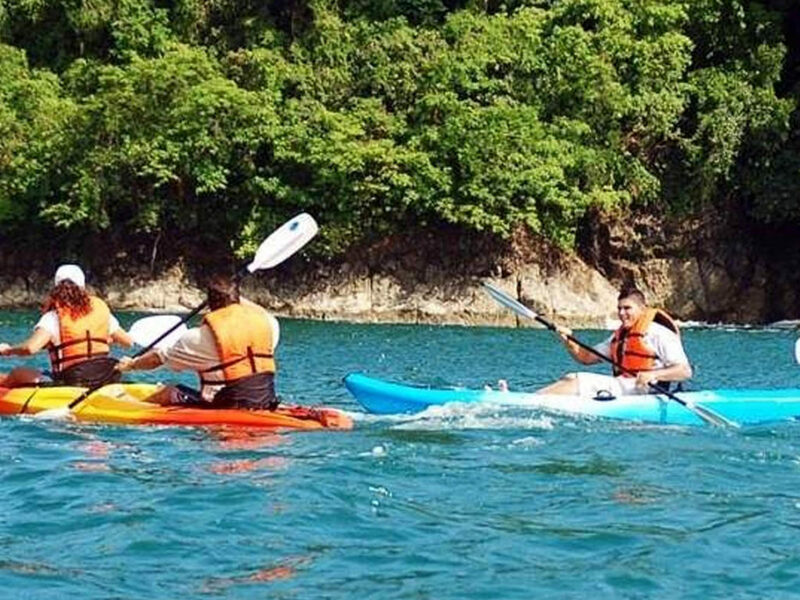 During this four hour activity along the gorgeous rainforest covered coastline, guests will have the opportunity to not only test their strength, but also connect with the magnificent world of the Pacific Ocean. 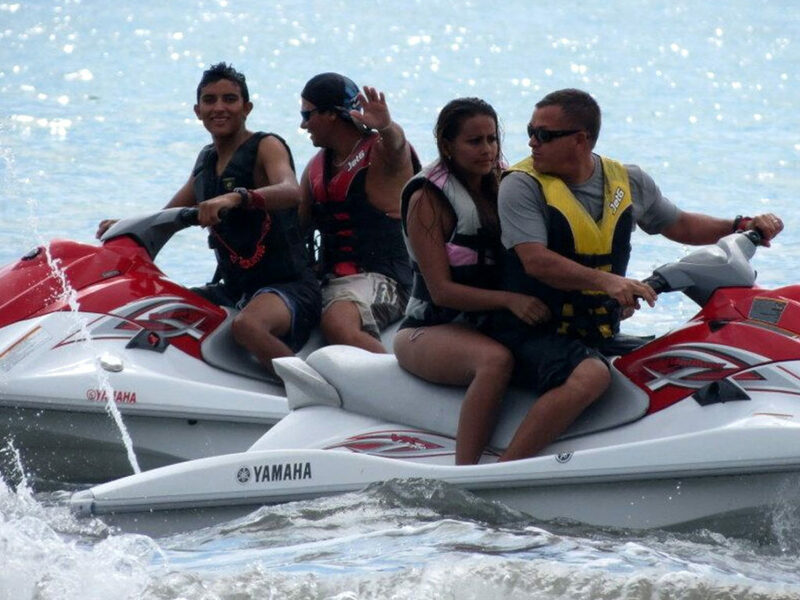 This thrilling tour is not to be missed for those who love spending time out on the water.